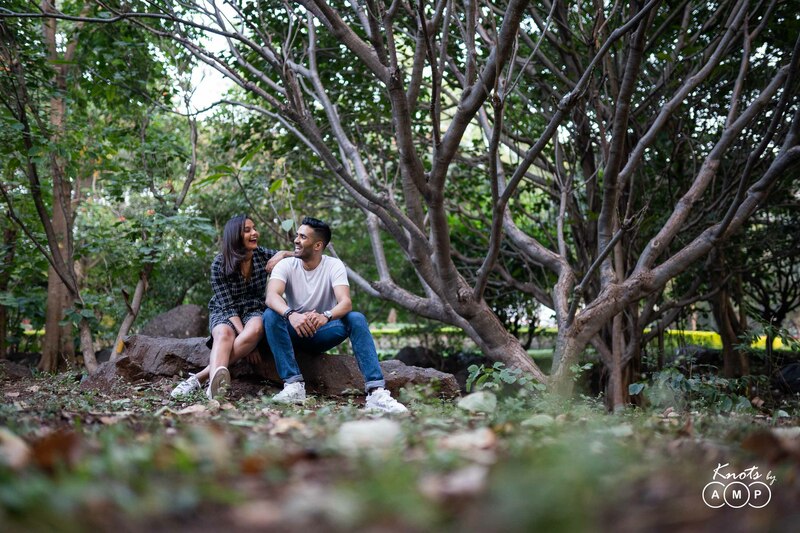 Pankaj and Priyanshi wanted their pre-wedding to be done at their favourite weekend getaway destination – The Gateway Hotel Ambad Nashik. 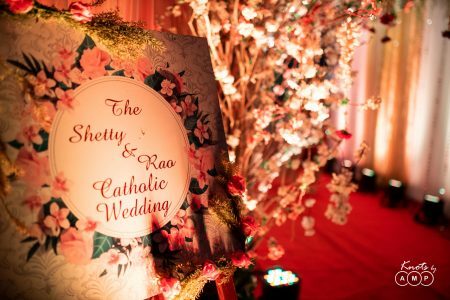 Part of the famous Taj Group of Hotels, the property is all a photographer could ask for, from expansive lawns to beautifully constructed halls and galleries. 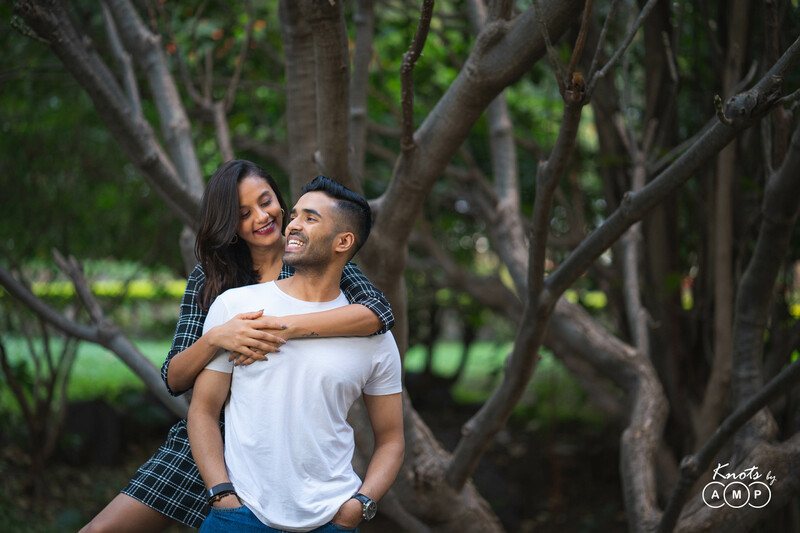 These two wanted the shoot to be fun, intimate and cozy. 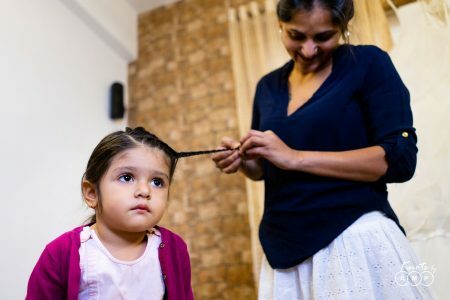 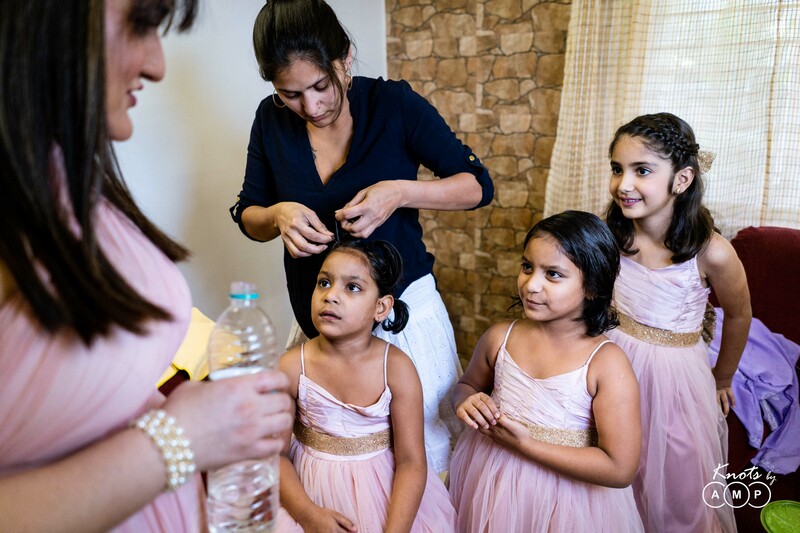 We started from their rooms and asked them to wear something comfortable and cozy, and feel at home. 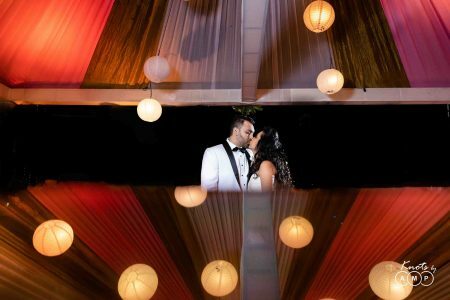 The beautiful French windows with their white drapes let in some beautiful soft light through them and we chose to make the most of them. 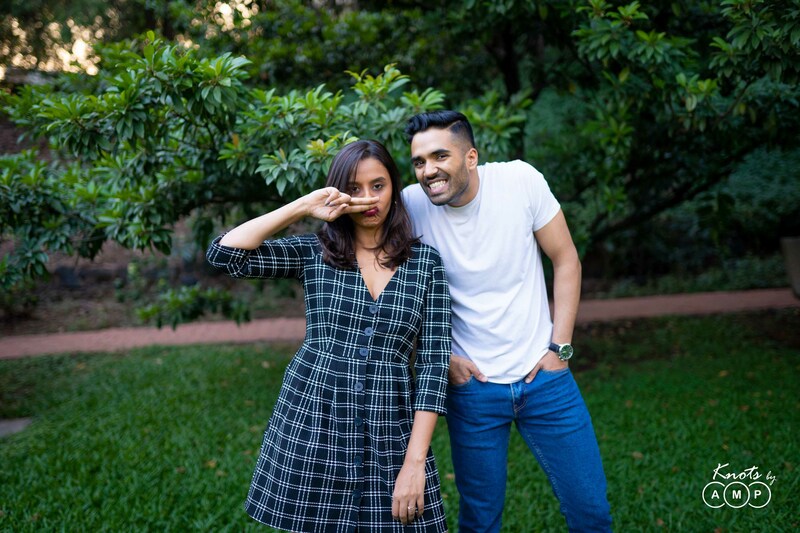 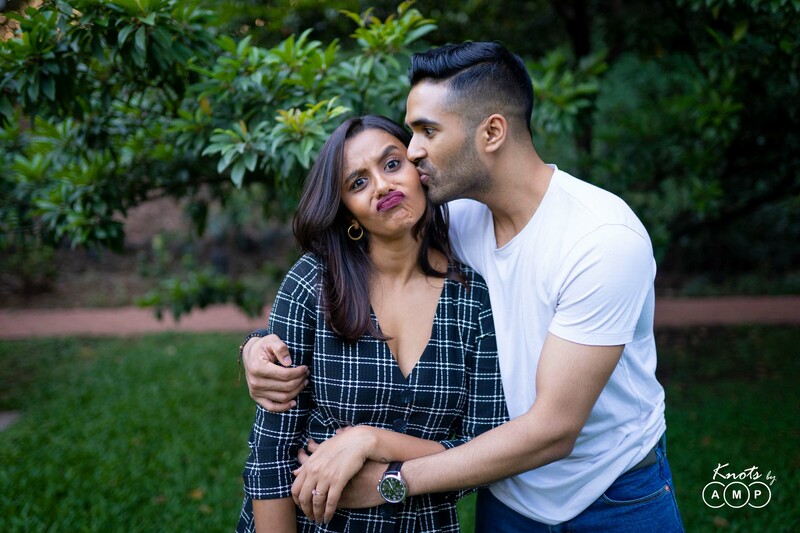 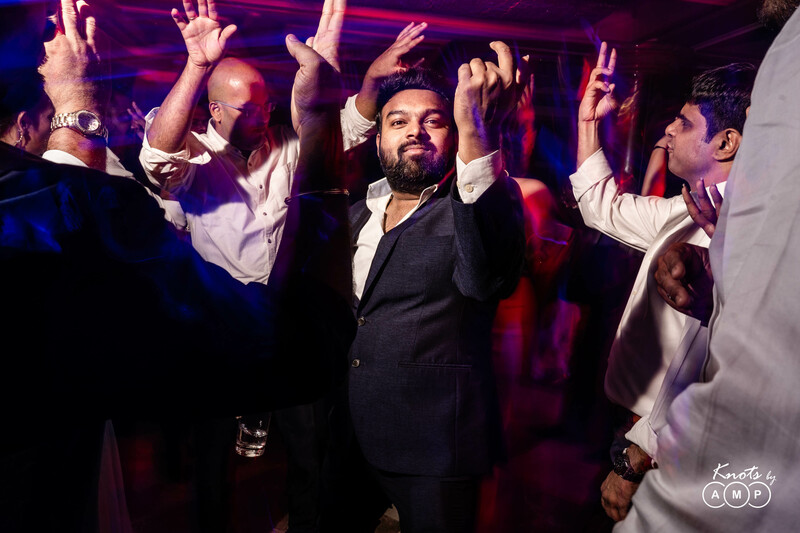 When Pankaj decided to play his ‘chill mix’ of songs, the vibe and the mood of the shoot was set and what followed was nothing short of a snuggle-o-thon. 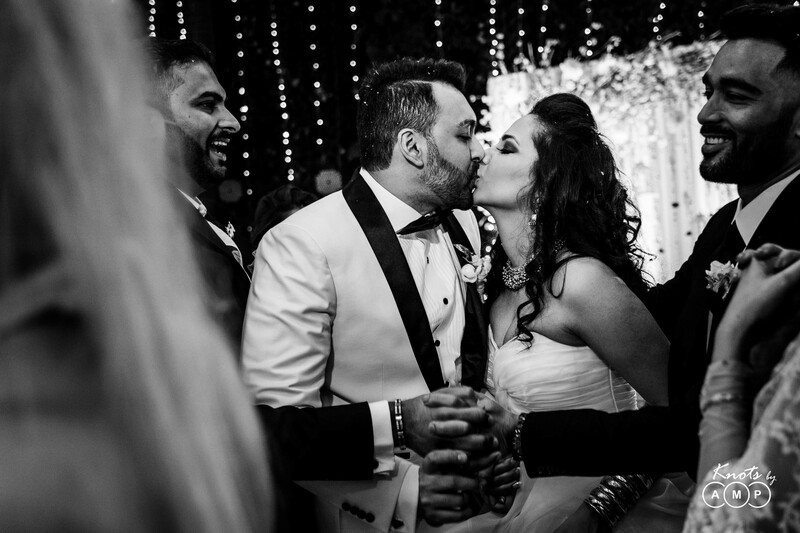 Their chemistry shone through the pictures – and directing them felt effortless. We never knew so much one could be do using nothing but a French window, a bed and a happy couple. 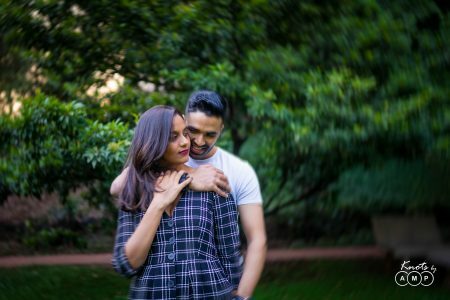 Soon after this session we headed out to make the most of the golden hour and click some fun and goofy pictures of the two love-birds. 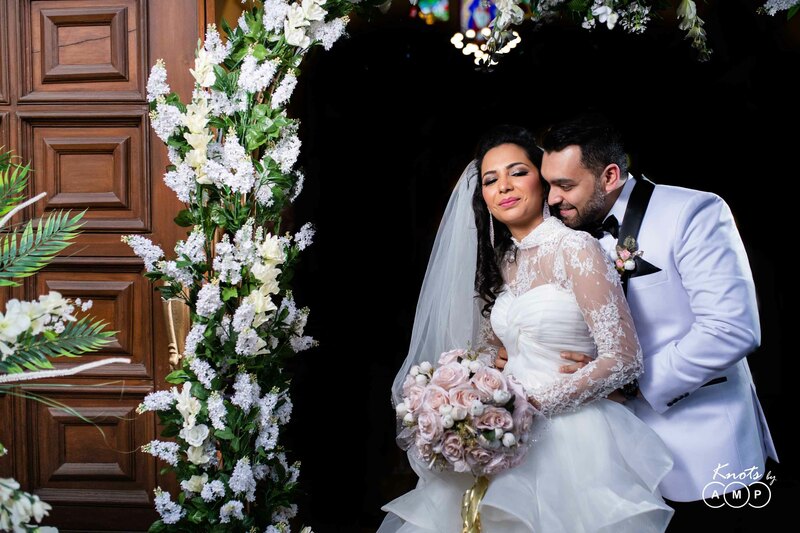 The hotel’s arched windows, beautiful galleries and lush gardens formed the perfect backdrop for what we wanted. 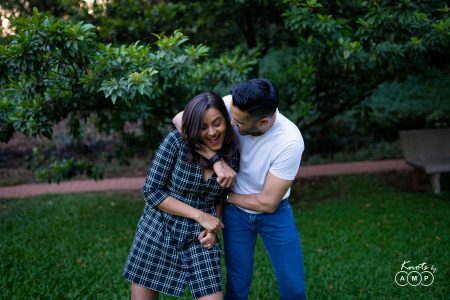 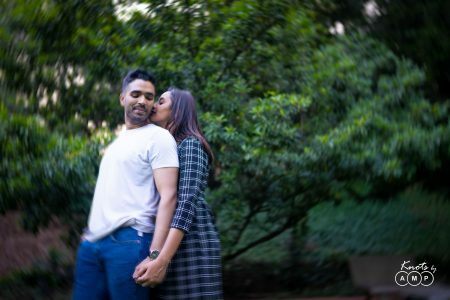 The session concluded with jokes and laughter, we had fun after all and so did they and I suppose this is what pre-wedding shoots are made for more than anything else – to get acquainted with the photographer, to trade stories and have fun along the way. 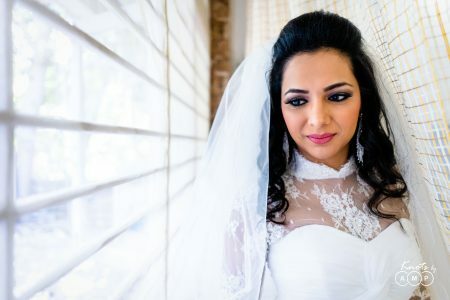 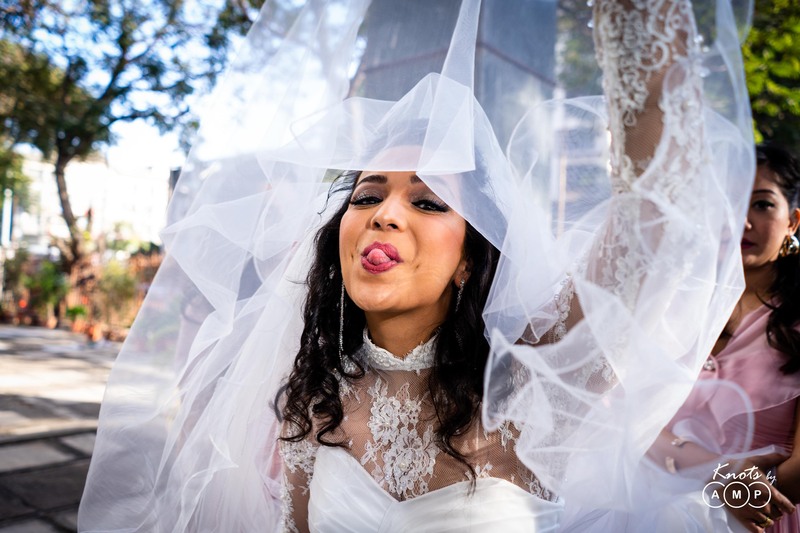 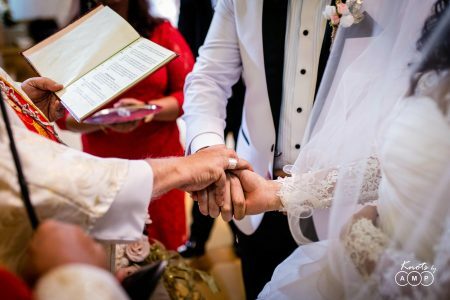 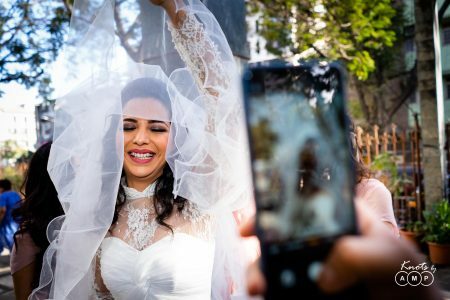 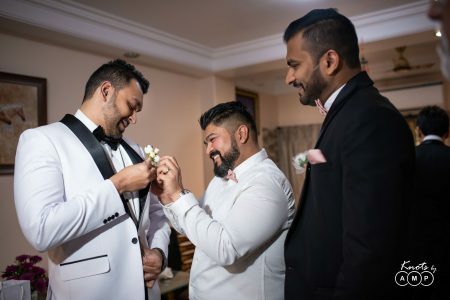 Its true that many photographers these days are shying away from doing pre-wedding photography, the once booming market for pre-weddings has surely come to a quite a standstill. 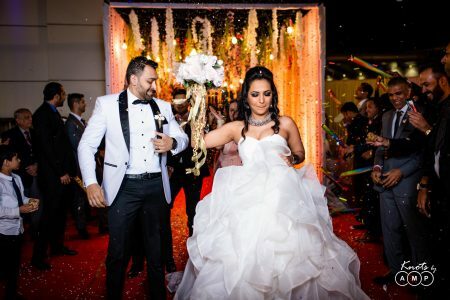 Most of them don’t find it worth their time as pre-weddings often pay less for the amount of effort and creative energied that goes into it. With the apparent dearth of good photographers left in this space, the pictures often lack innovation. 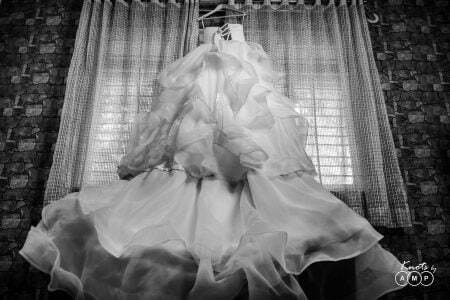 While many couples see it as a means of making their pinterest boards come to life, there’s little or no motivation for the photographer to try something new and challenging. 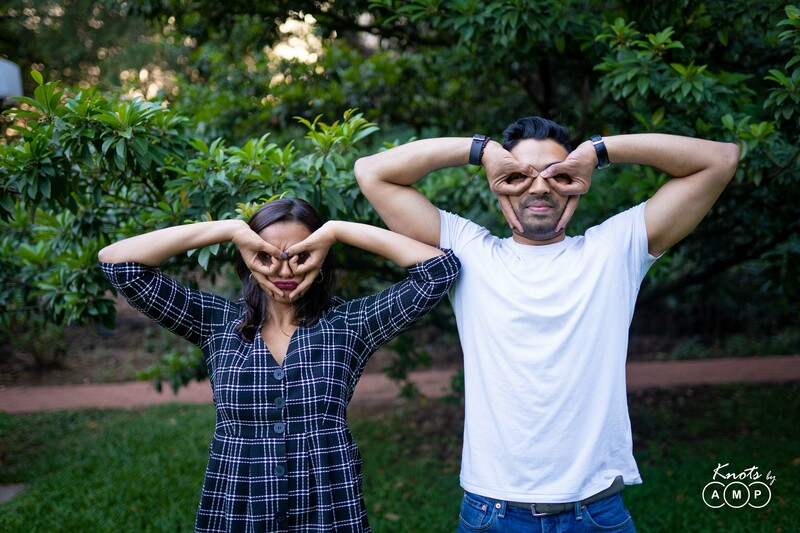 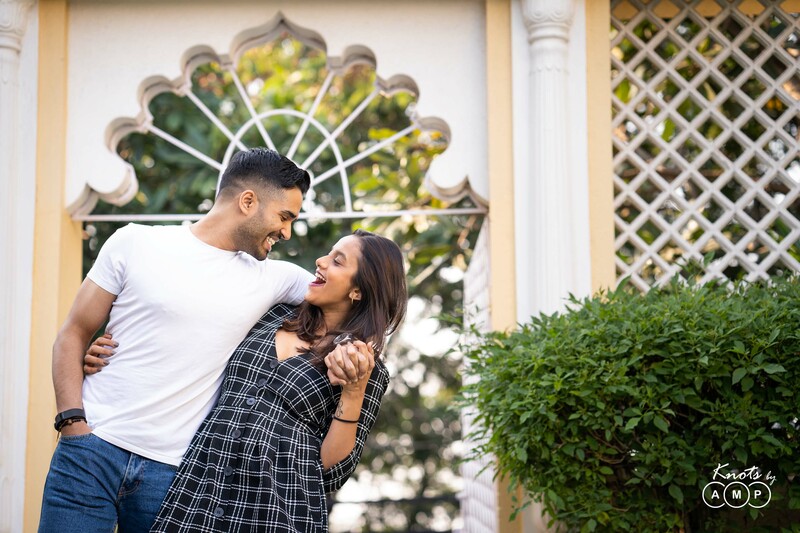 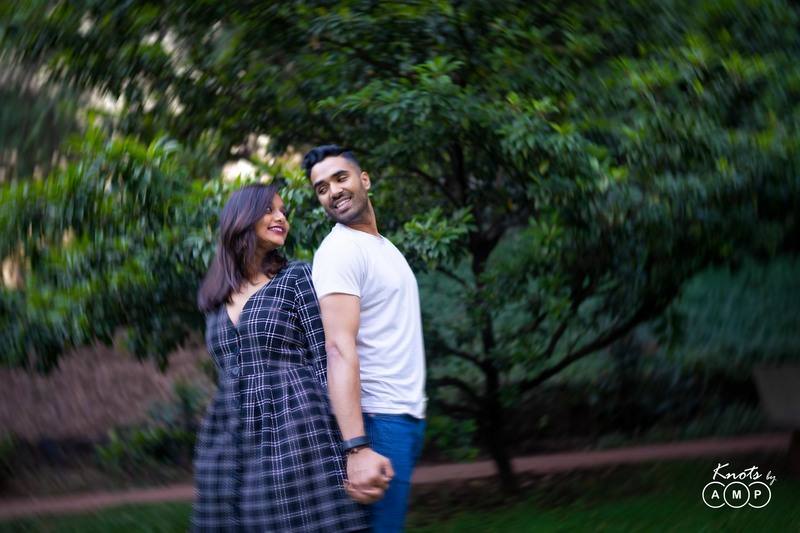 However, Pankaj and Priyanshi came to us with a fresh and exciting idea for their pre-wedding photoshoot and we couldn’t resist and ended up with amazing pictures and whole lot of fun. 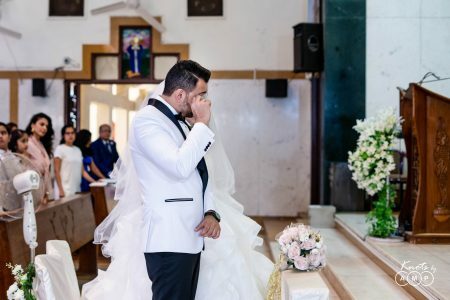 So the next time you meet your wedding photographer, trust him enough to share your stories before sharing your pinterest board! 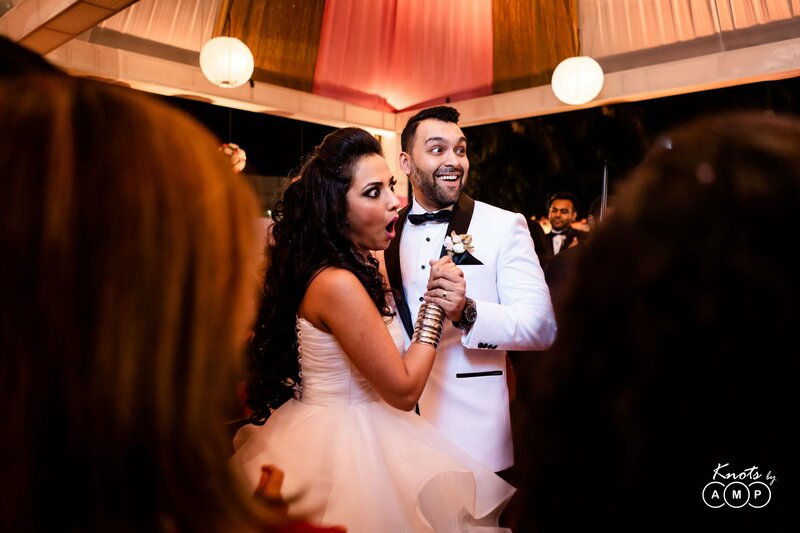 February started with a bang with one of the most fun-filled weddings of the season so far. 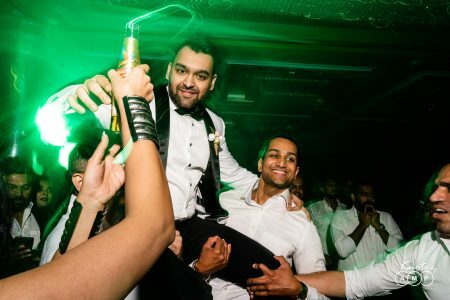 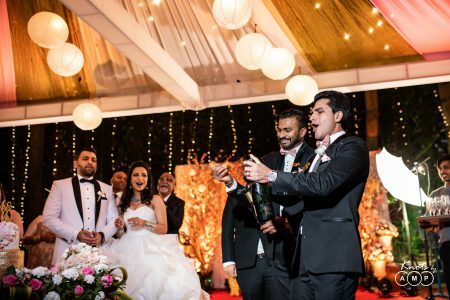 Love was in the air as Monisha Rao – a cabin crew at Etihad Airlines fell in love with a Varun Shetty from Fly Dubai over drinks. 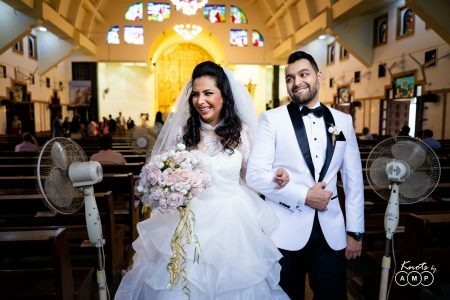 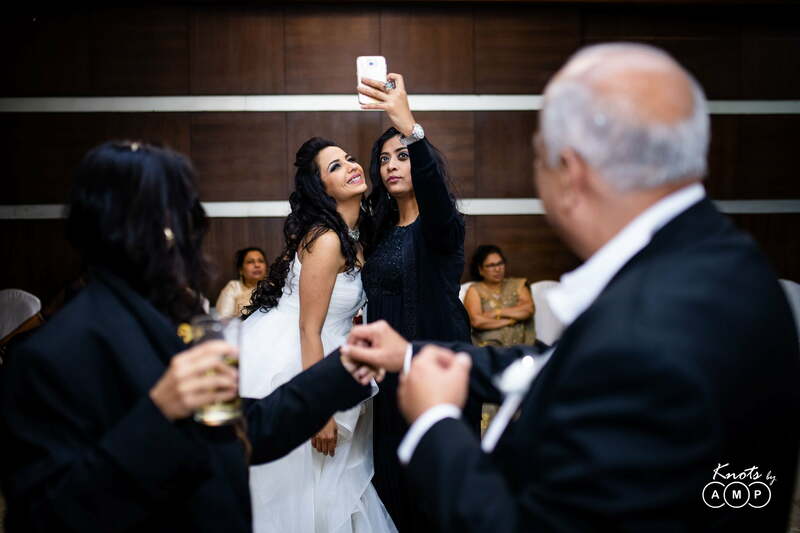 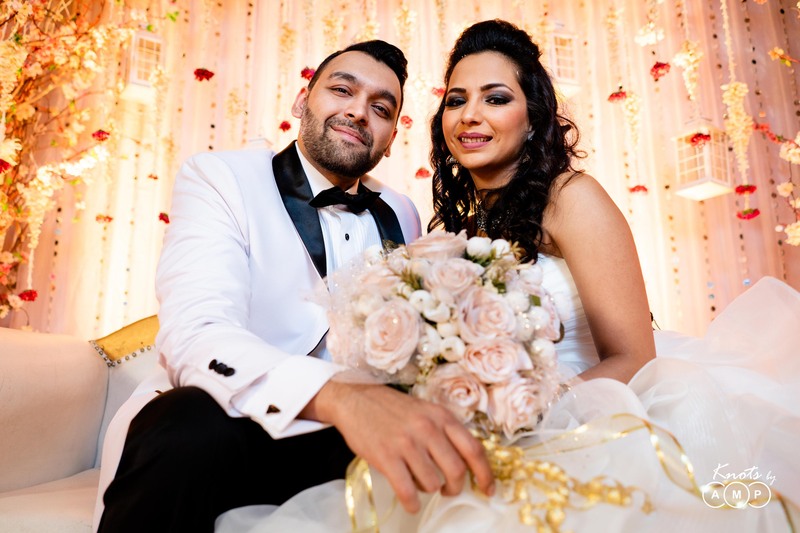 The two decided to get married and got in touch with us to document their special day – KnotsbyAMP style. 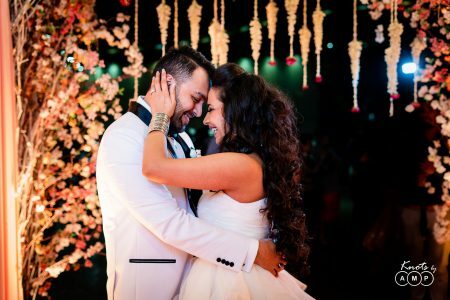 Monisha & Varun wanted the best wedding photographers in India to capture their special day and they went ahead with booking us 11 months in advance. 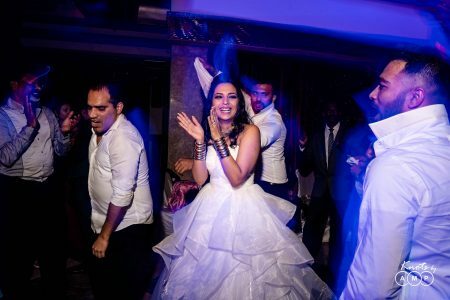 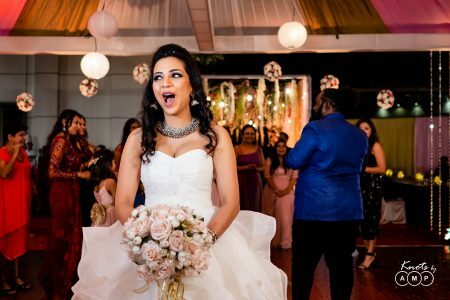 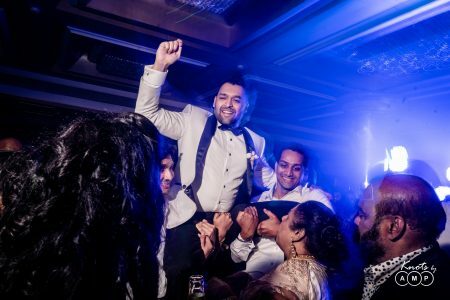 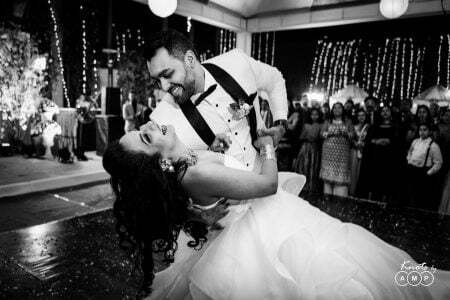 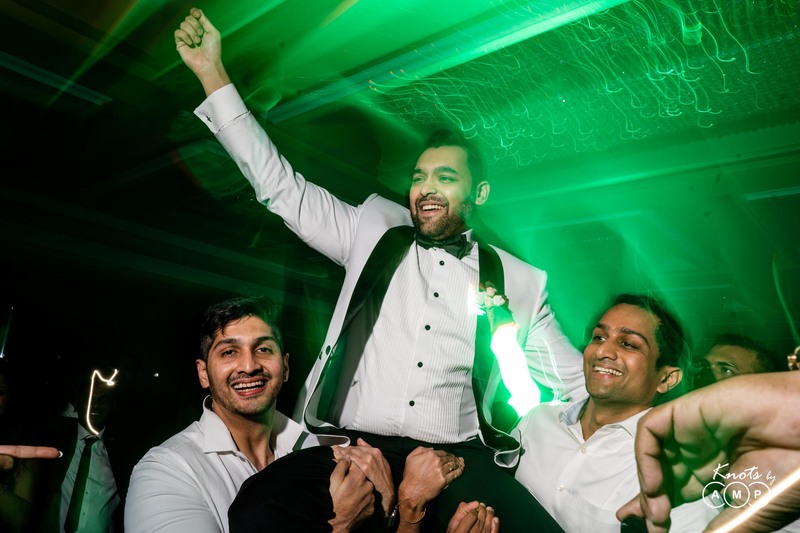 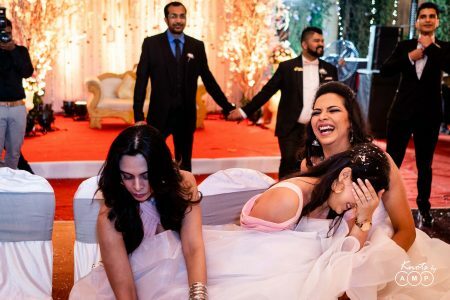 We, as wedding photographers, always look forward to white weddings for their no-nonsense, merry and jovial vibes – Monisha & Varun’s wedding was not an exception. 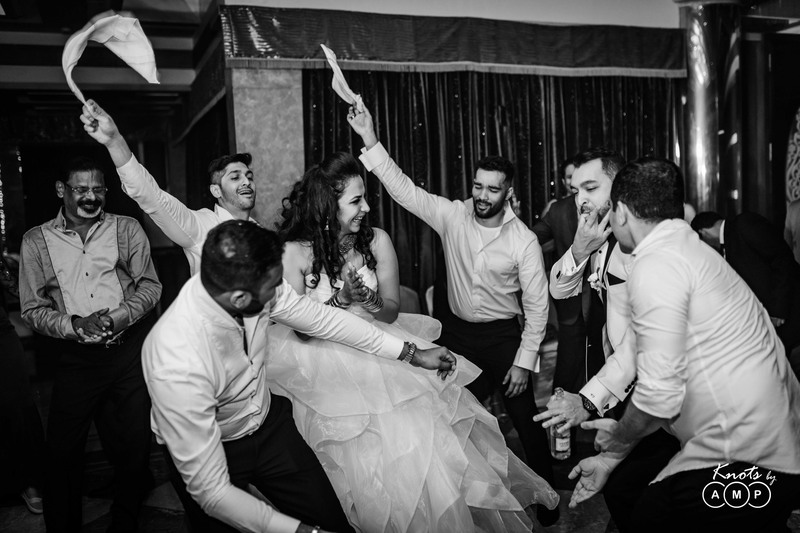 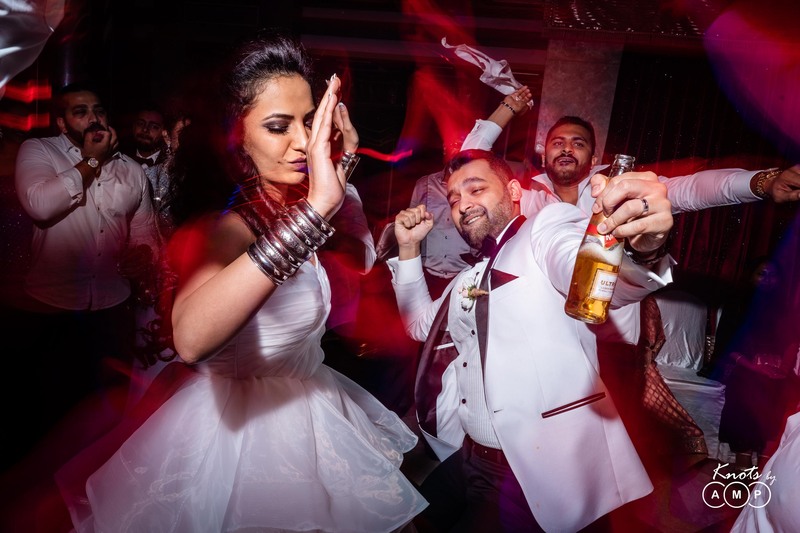 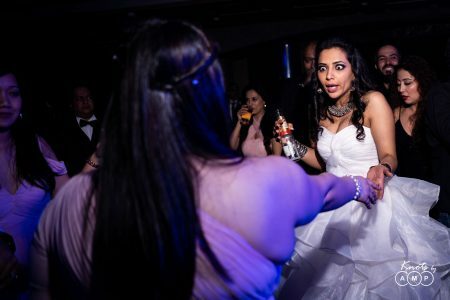 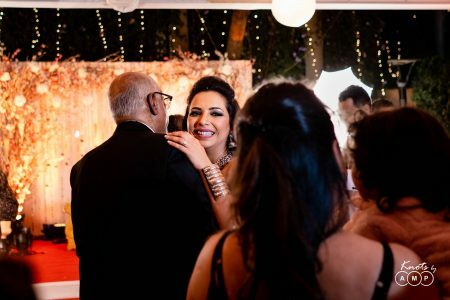 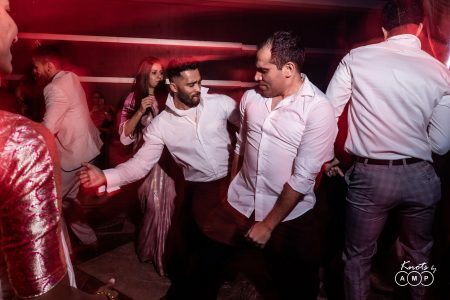 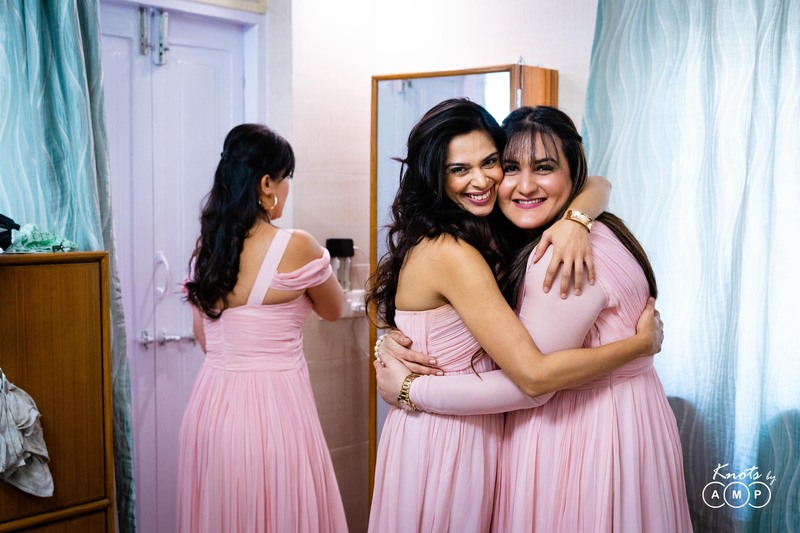 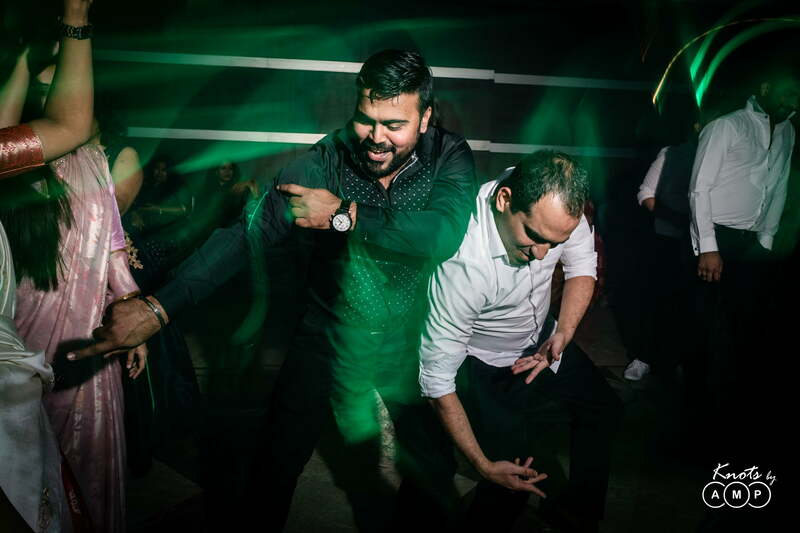 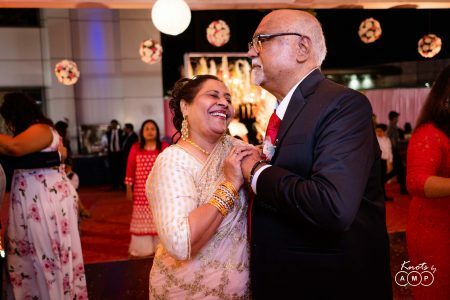 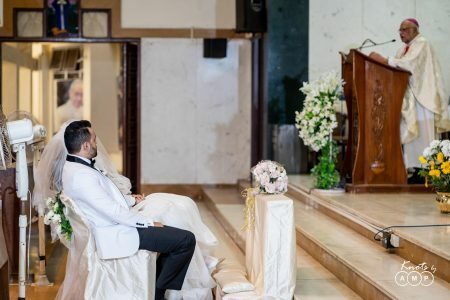 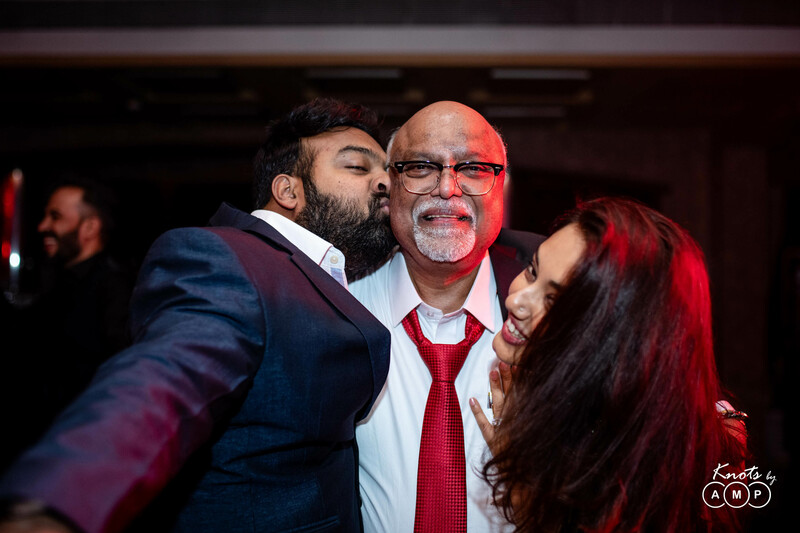 After two gruesome months of back-to-back shoots, hectic schedules with little to no sleep, this wedding – with more than its fair share of dance, drama, music, games.. and some more dance – was just what the doctor prescribed. 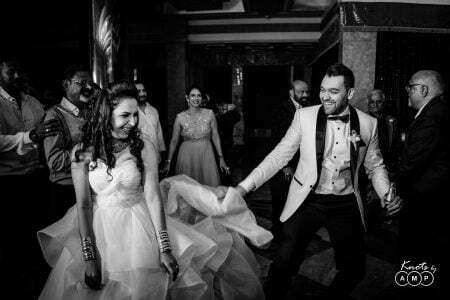 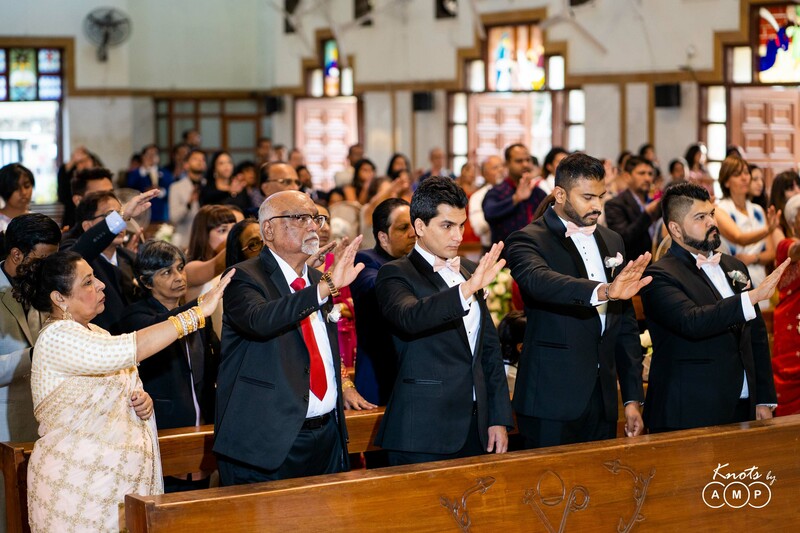 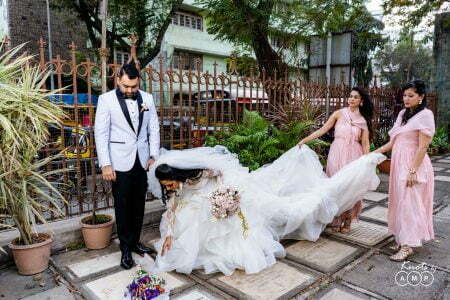 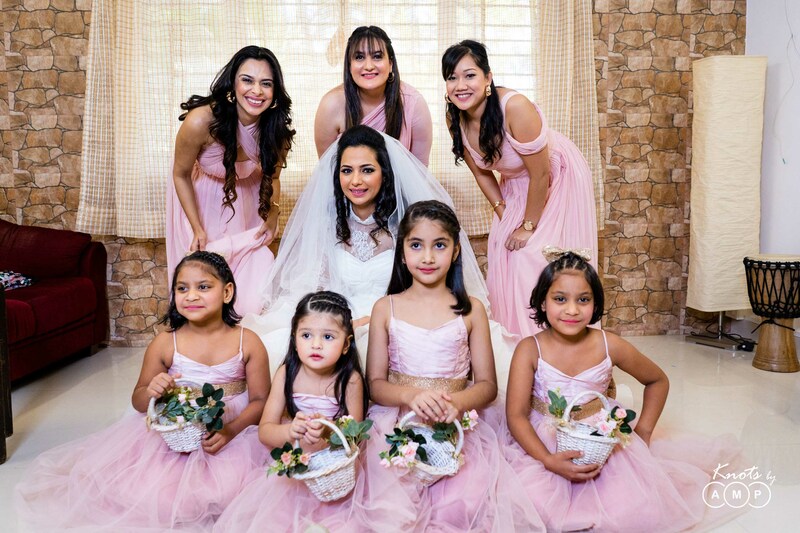 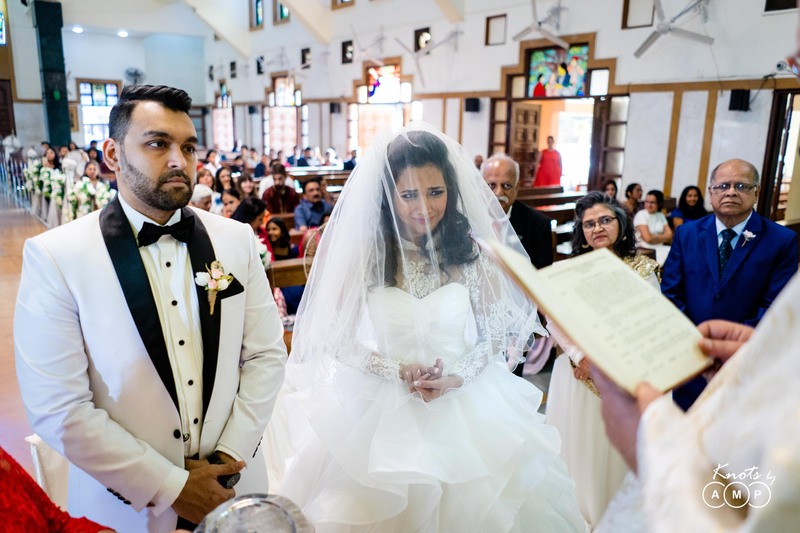 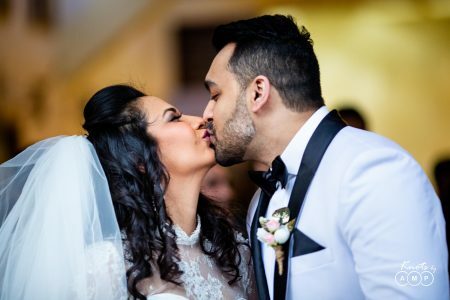 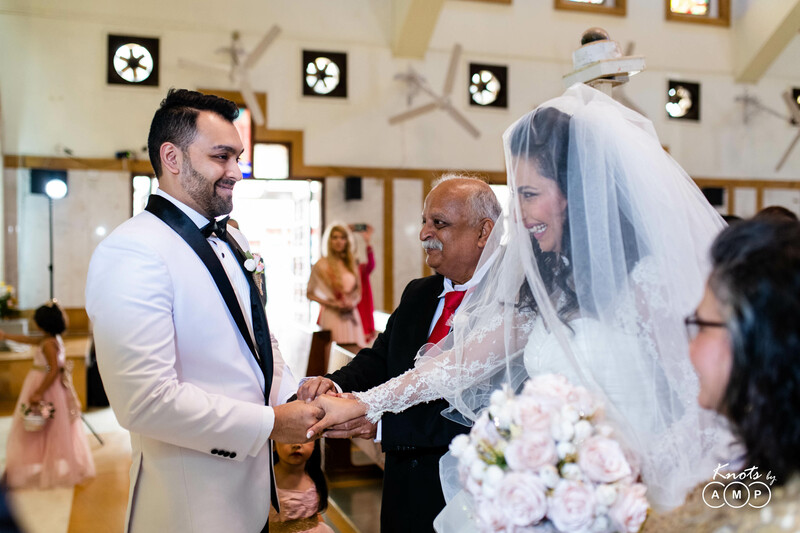 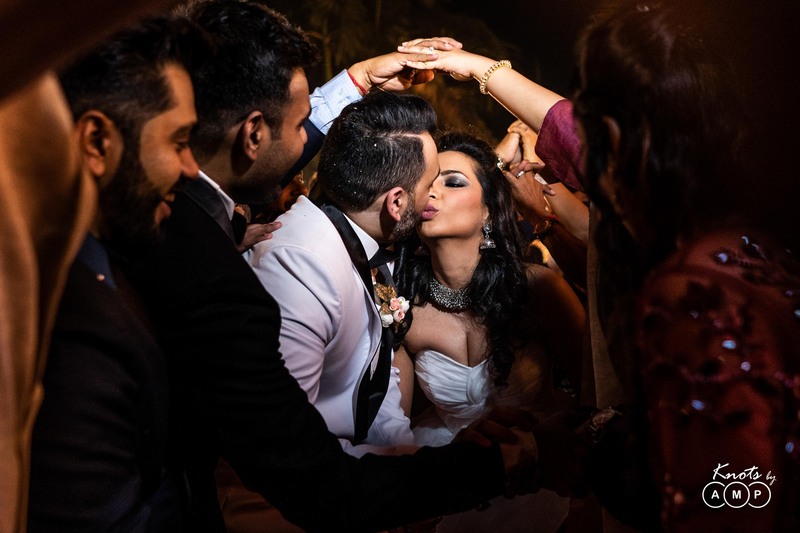 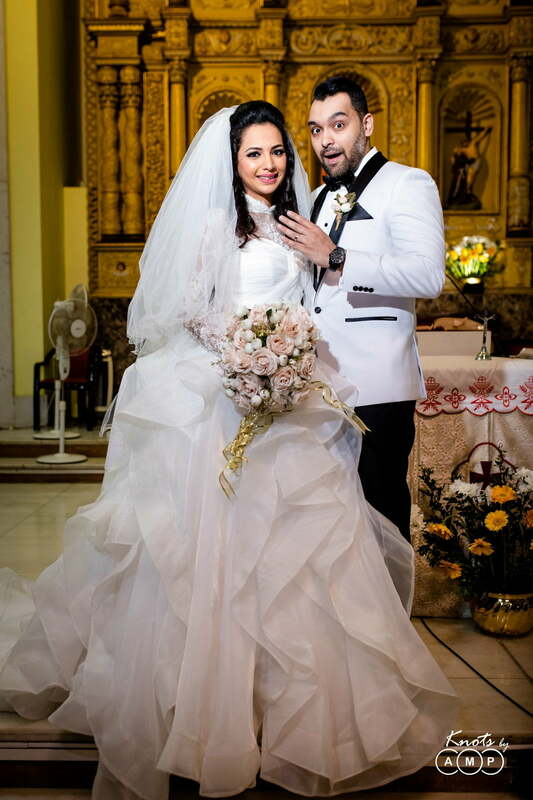 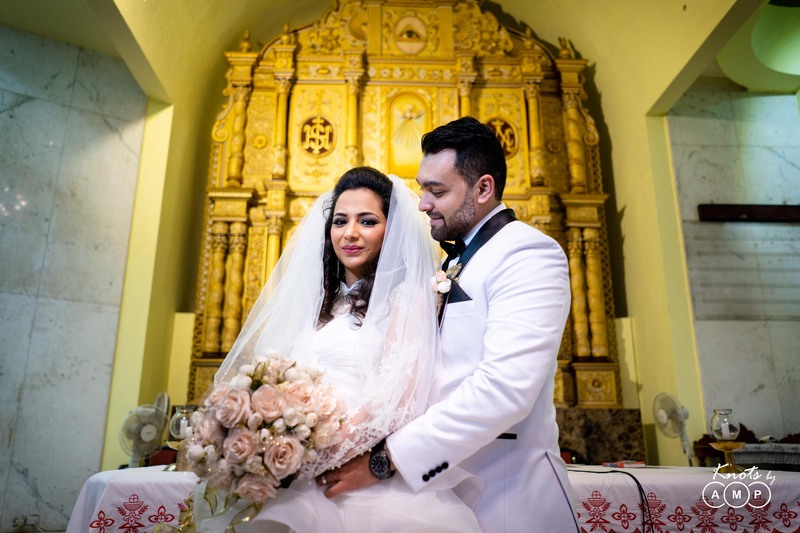 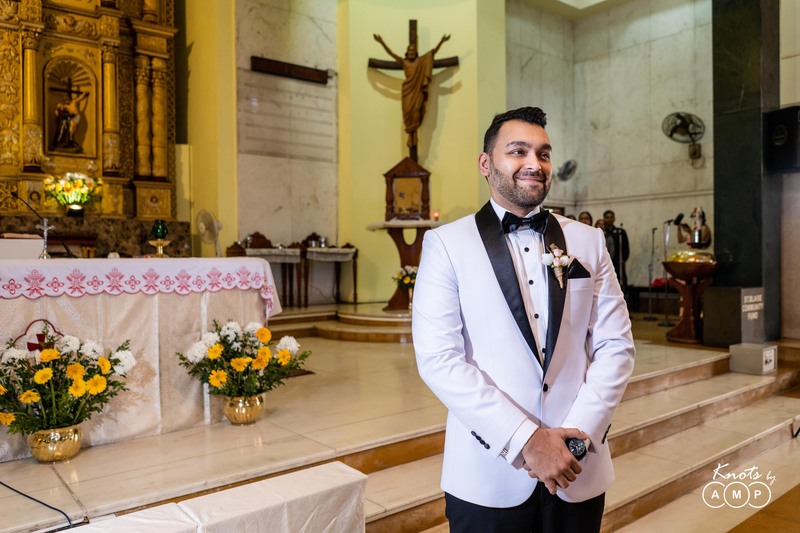 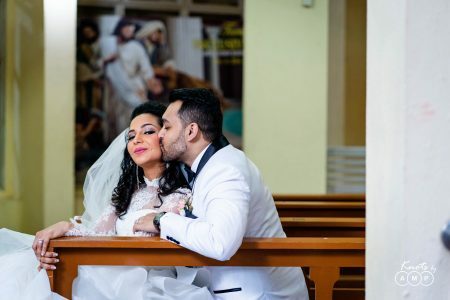 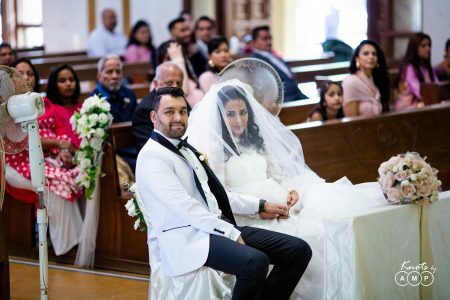 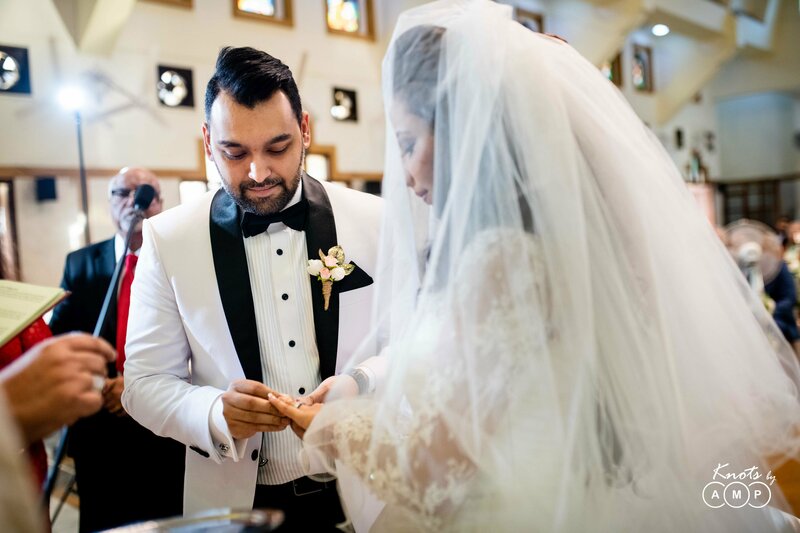 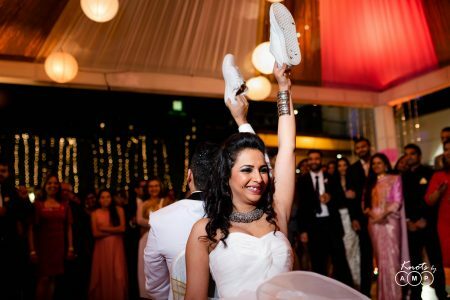 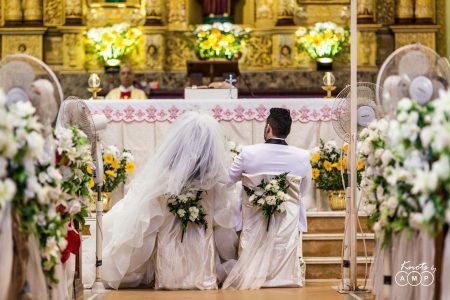 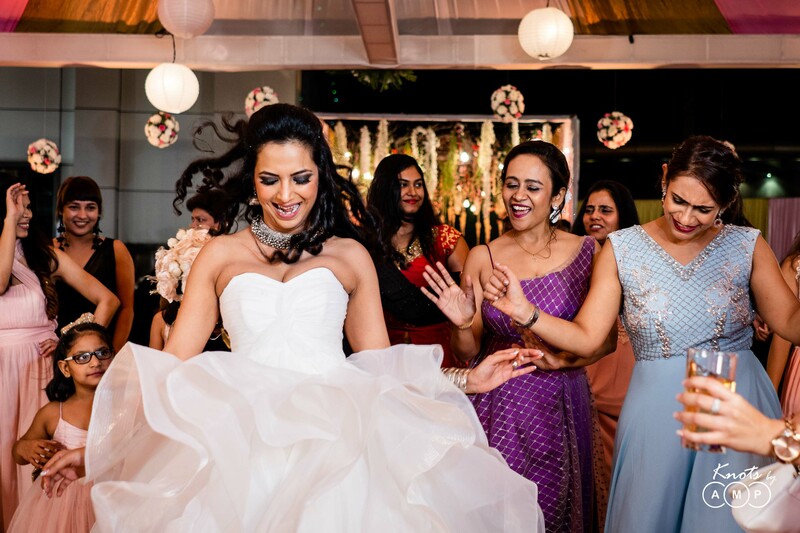 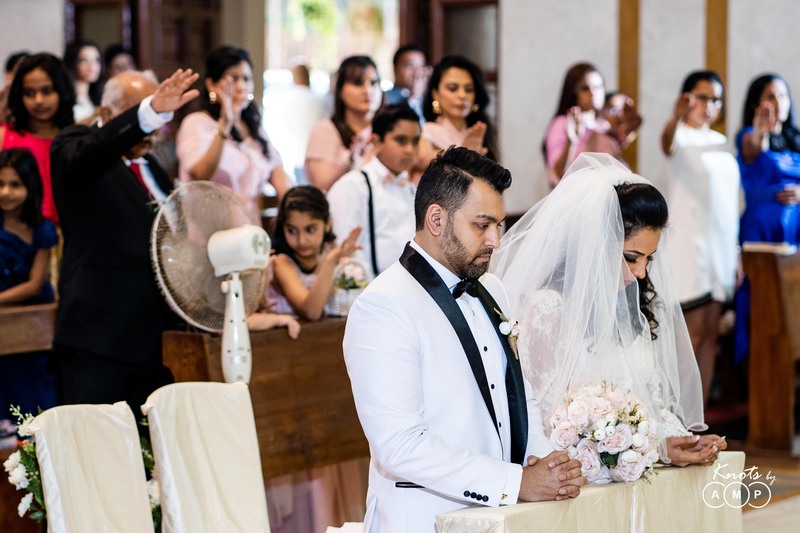 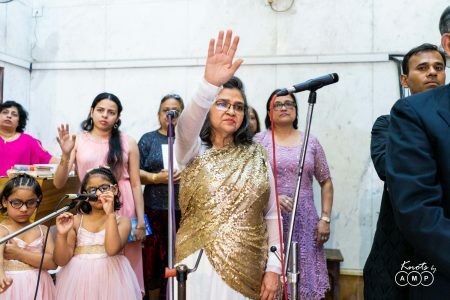 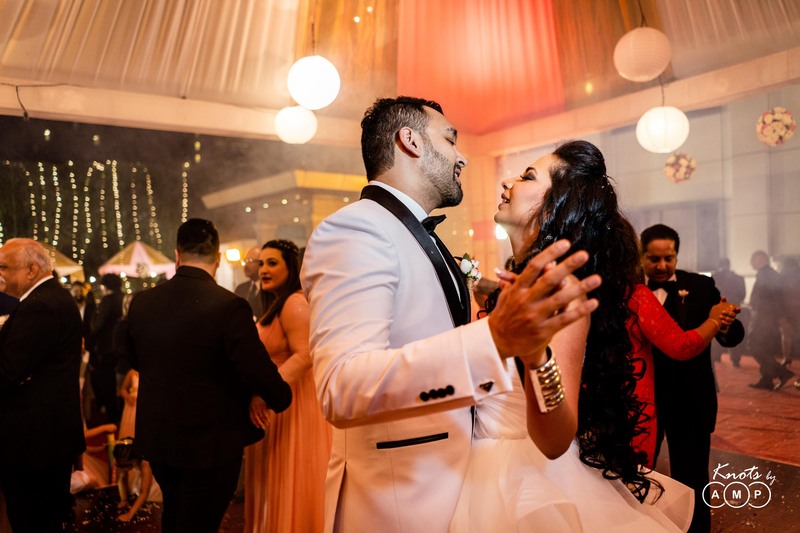 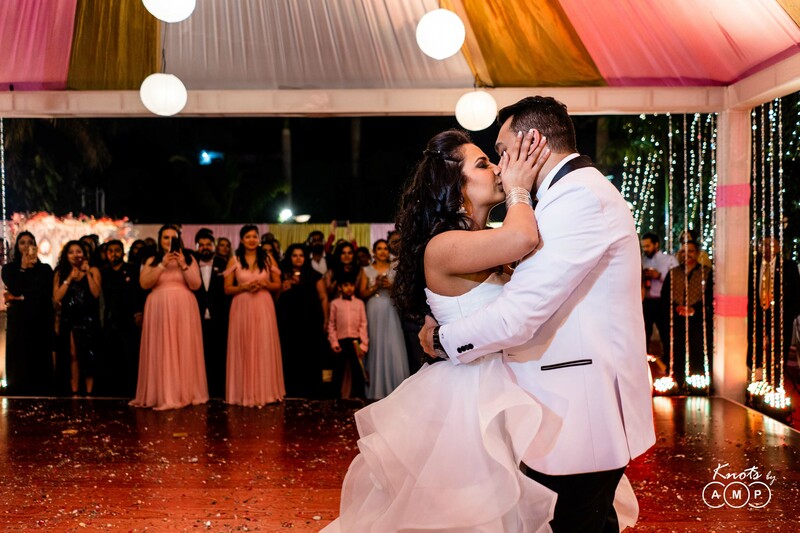 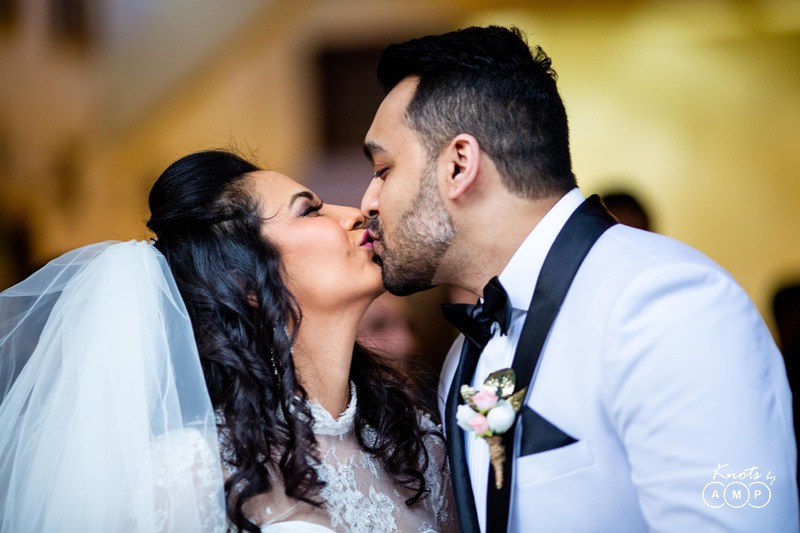 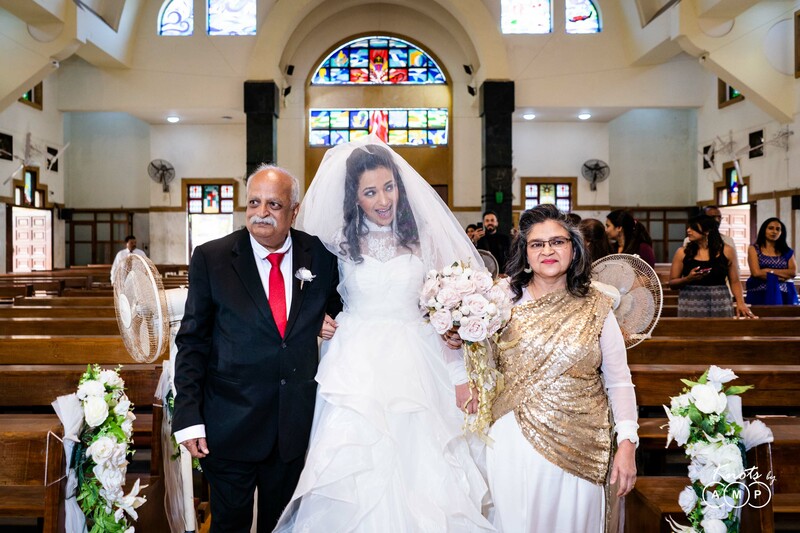 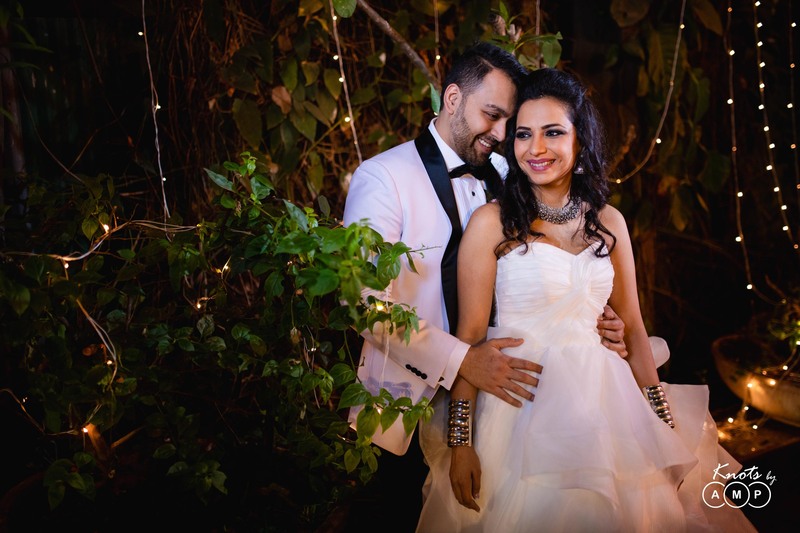 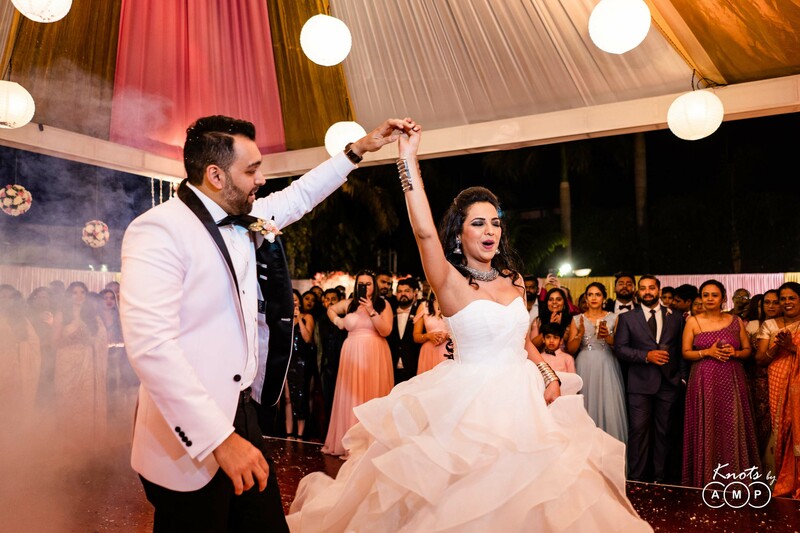 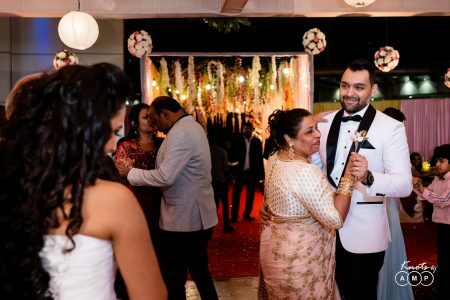 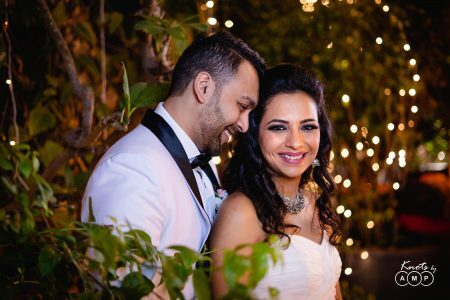 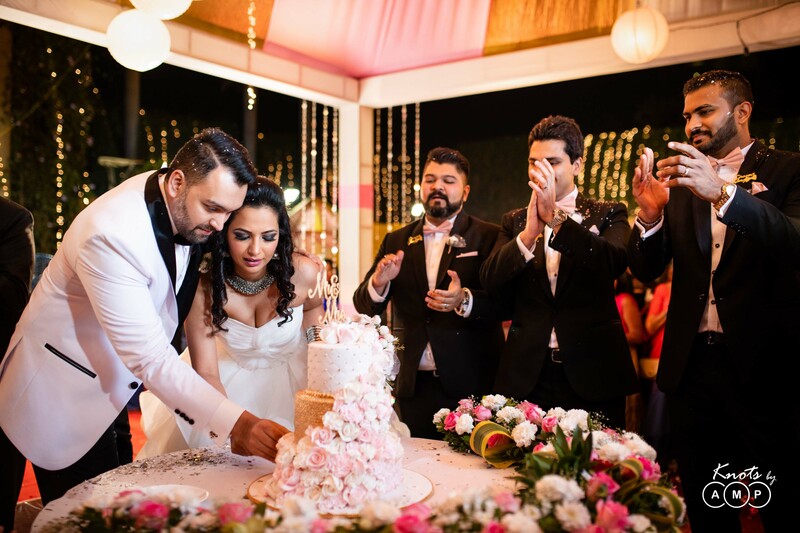 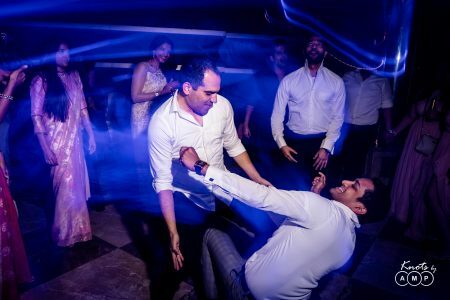 Monisha & Varun celebrated their nuptials at The St. Blaise Church, Amboli followed by a night of ‘Drinks, Dinner, and Dance’ at The Peninsula Grand Hotel. 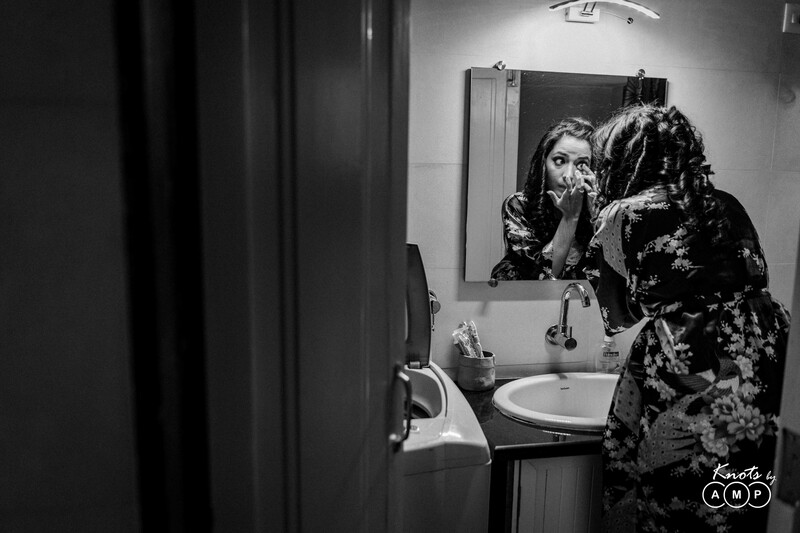 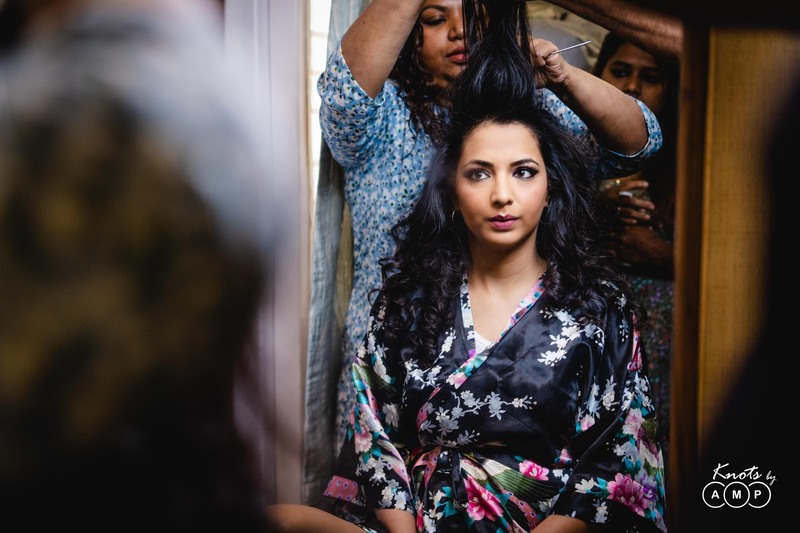 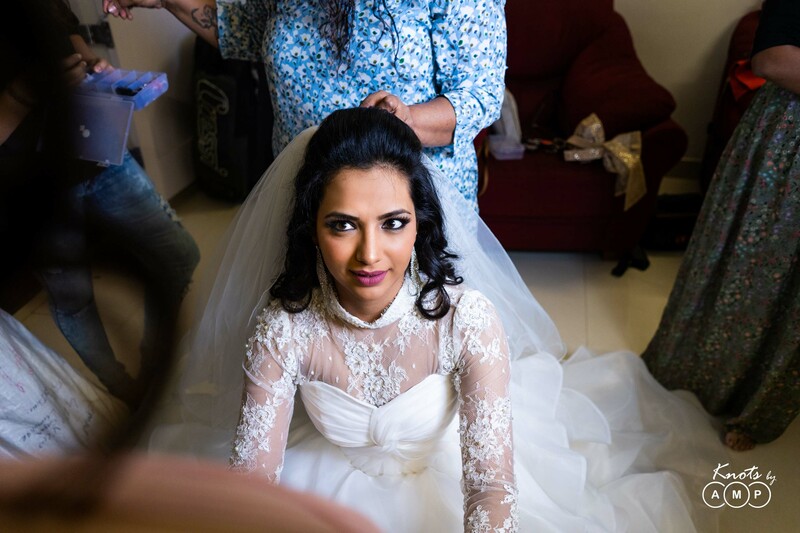 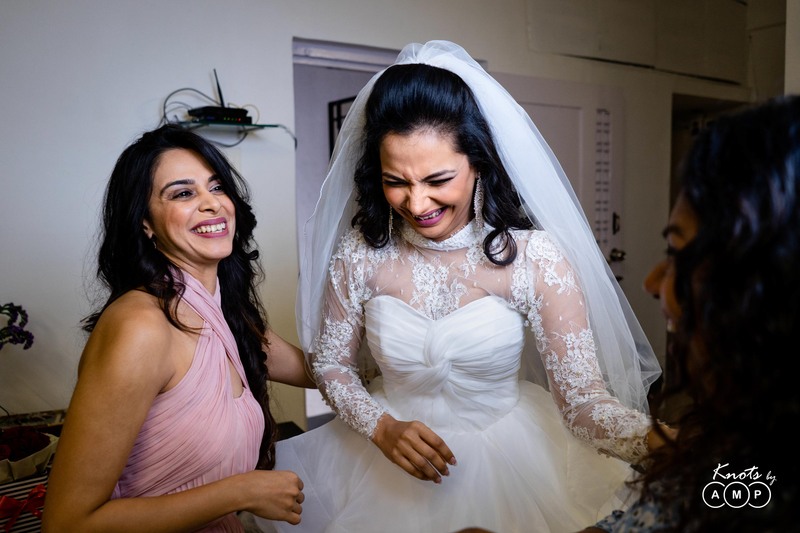 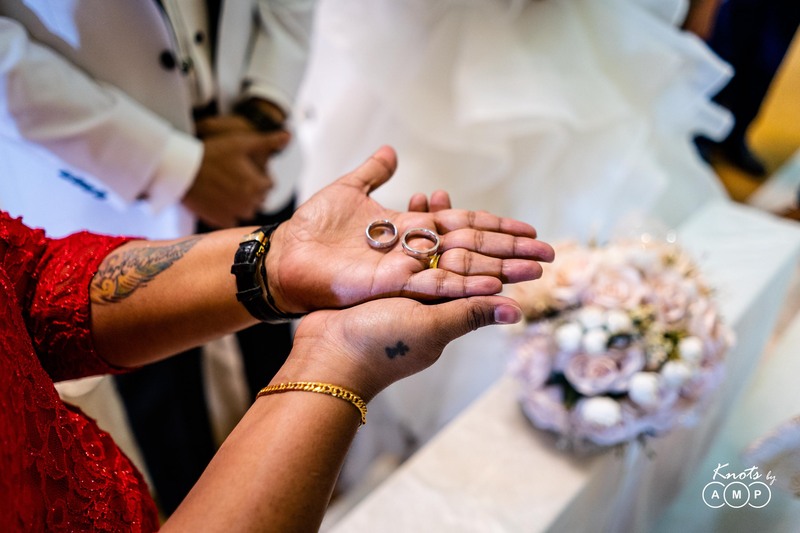 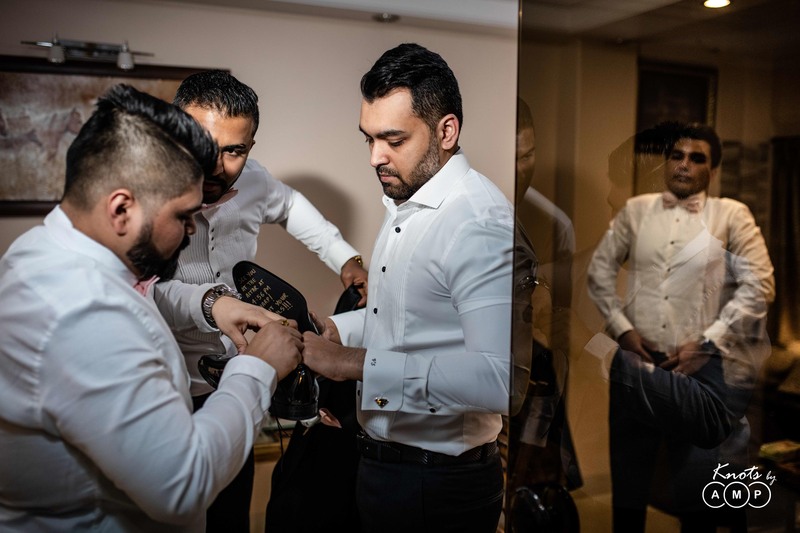 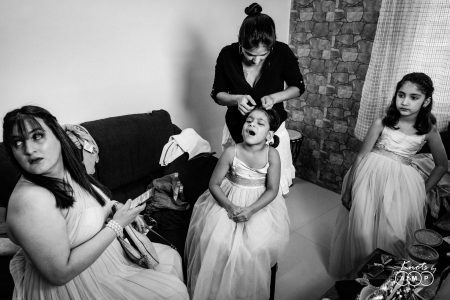 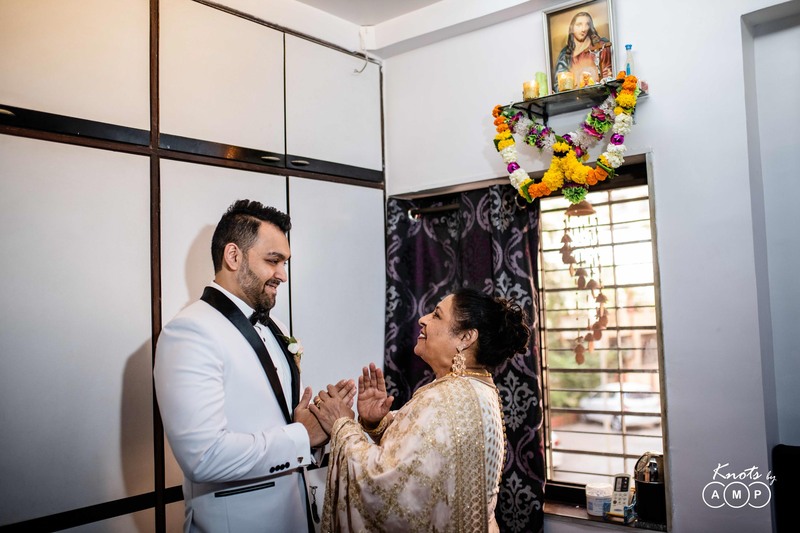 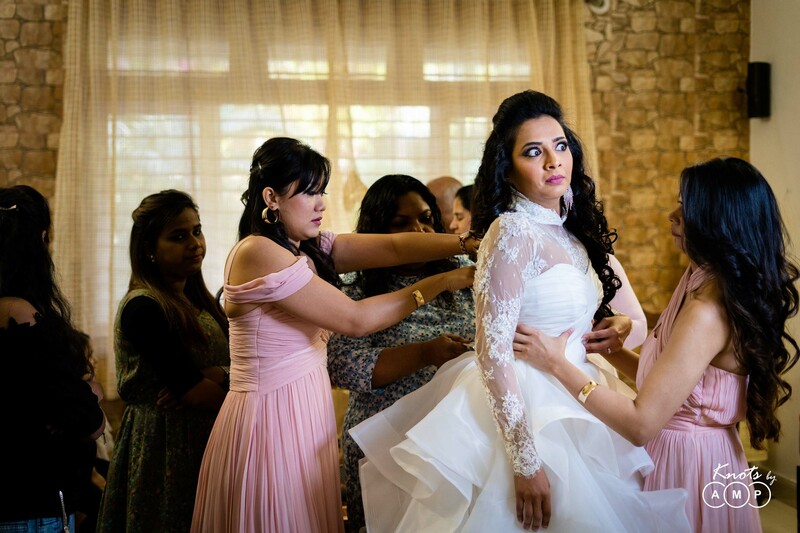 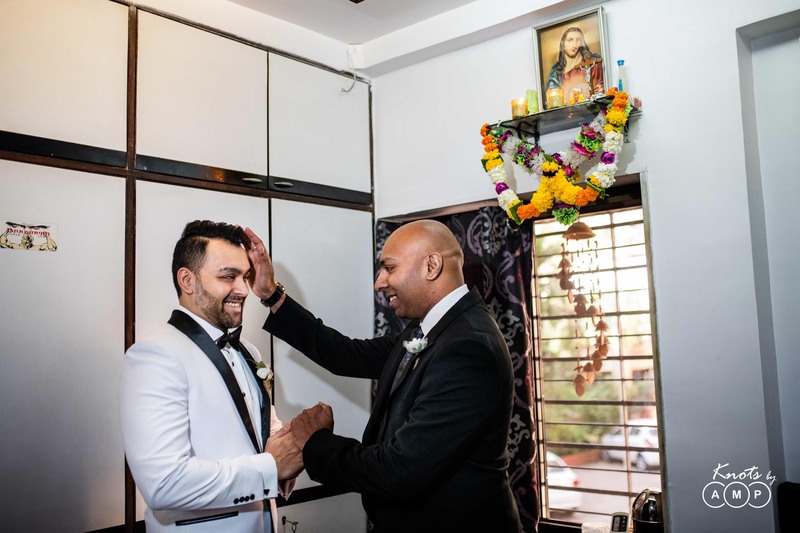 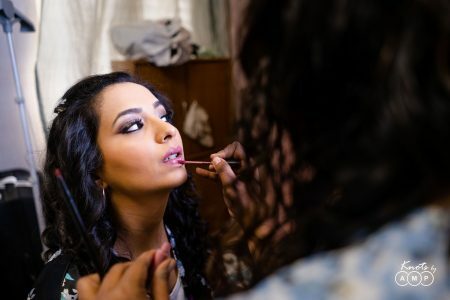 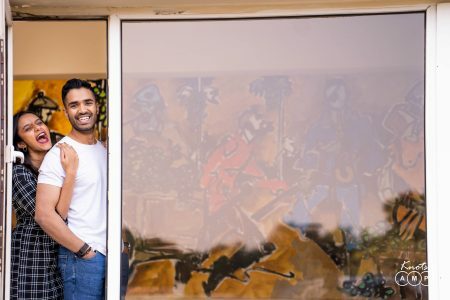 Before their wedding ceremony, Monisha and Varun got ready at their respective residences in Andheri. 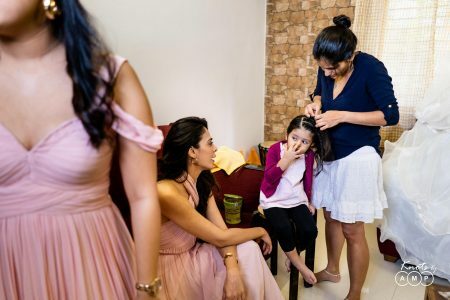 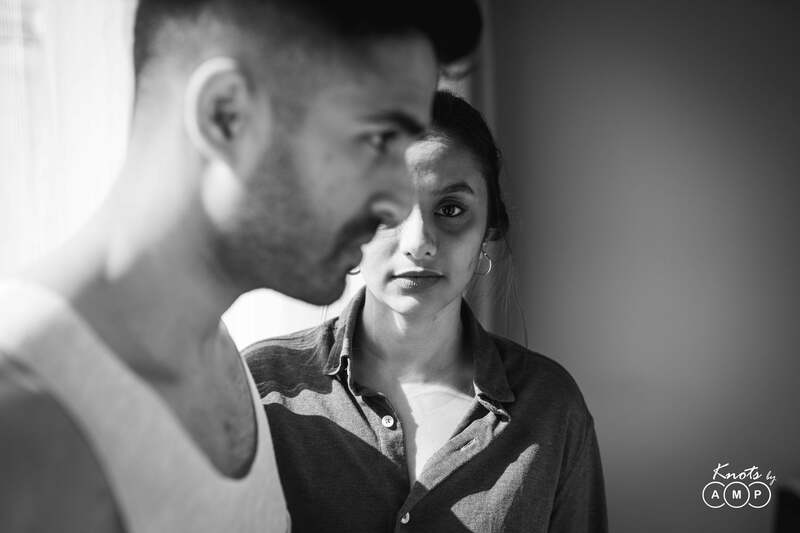 Monisha’s quaint little house served as the perfect backdrop for the honest and quirky storytelling pictures that followed. 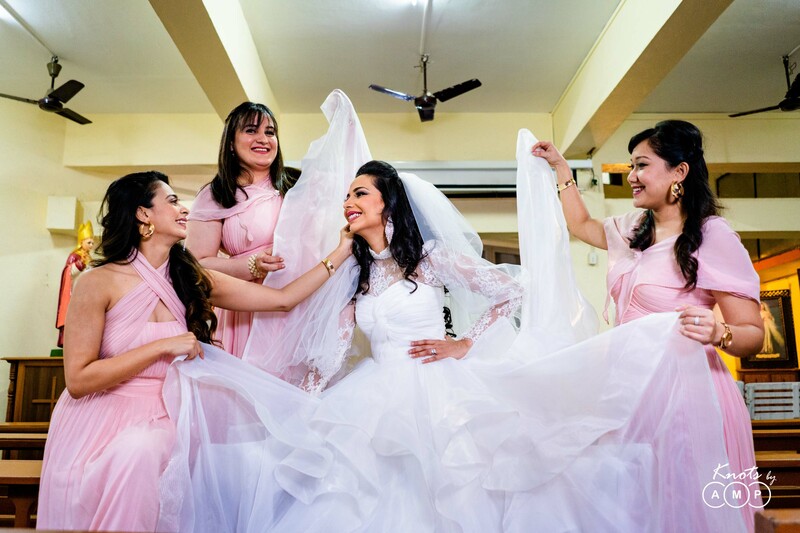 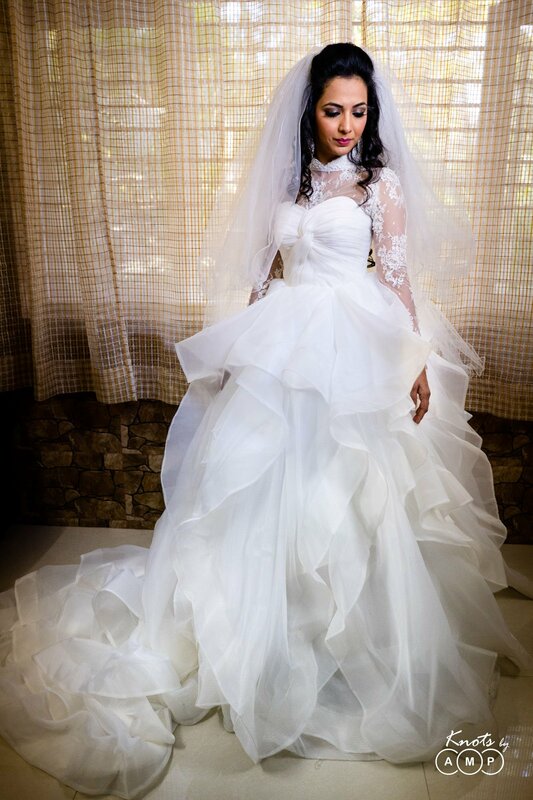 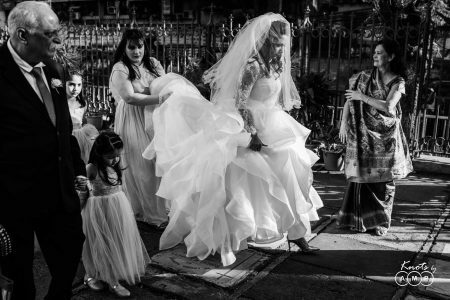 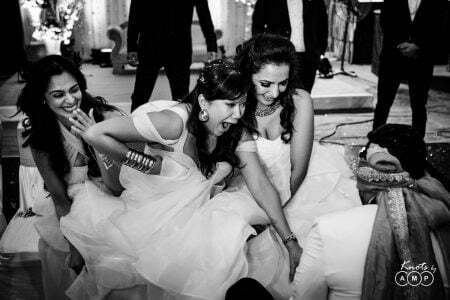 Her house was a hub of activities as the bridal entourage helped each other with their wedding attire. 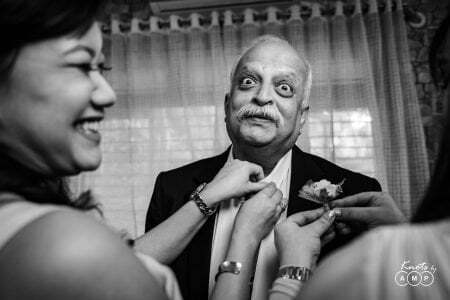 The buzz and chaos is palpable from the pictures and so is the excitement as the bridesmaids help the bride with her final look. 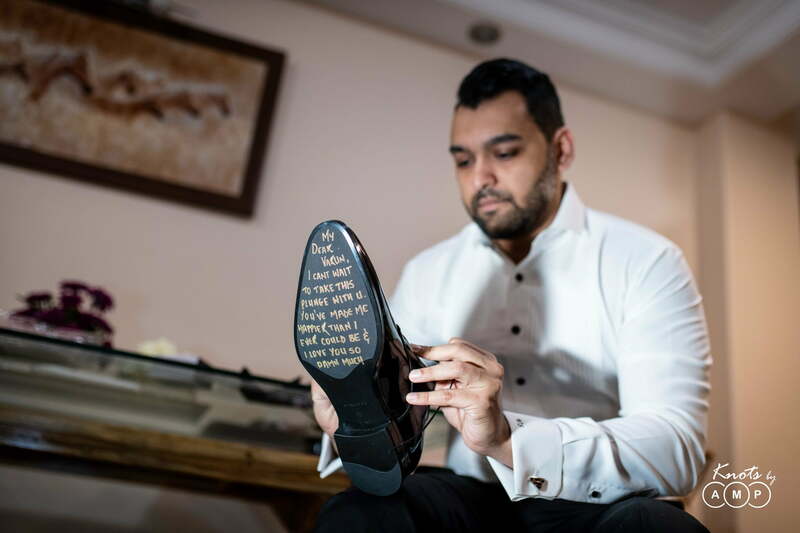 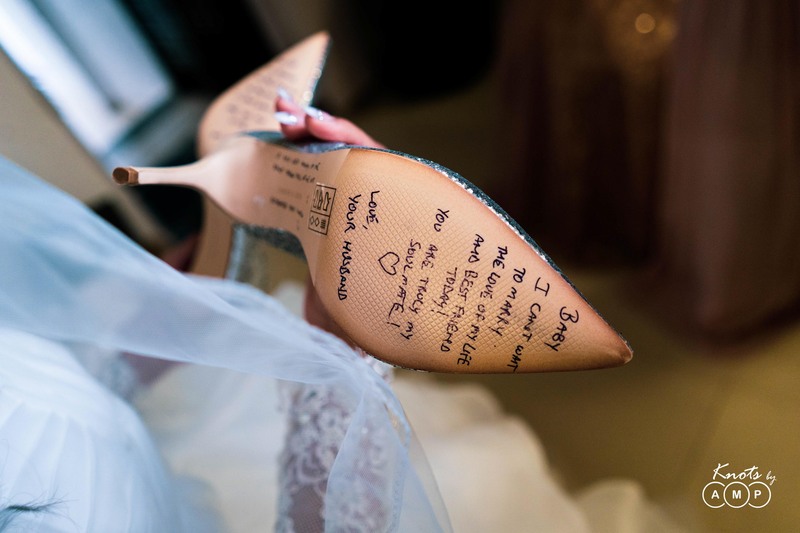 The highlight being the cute little messages the two had written to one another on the sole of their shoes – Solemates indeed!! 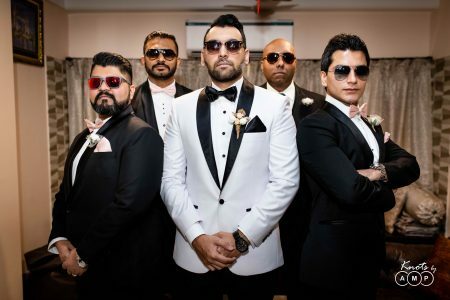 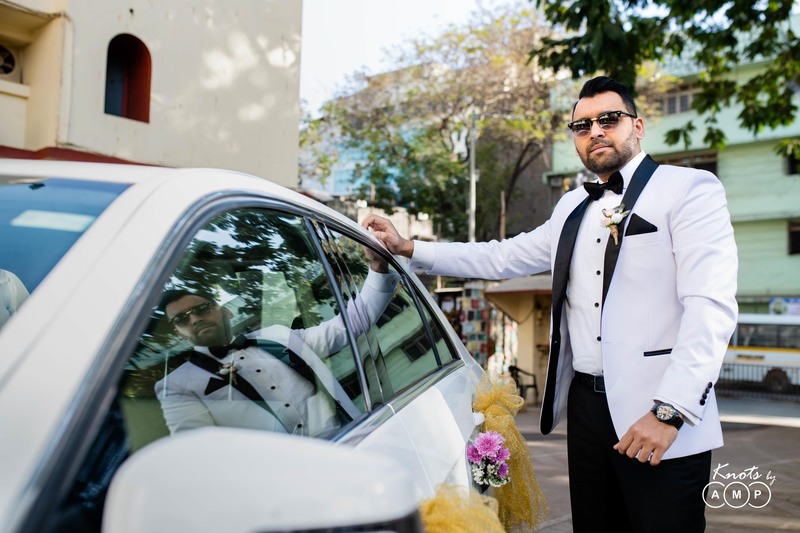 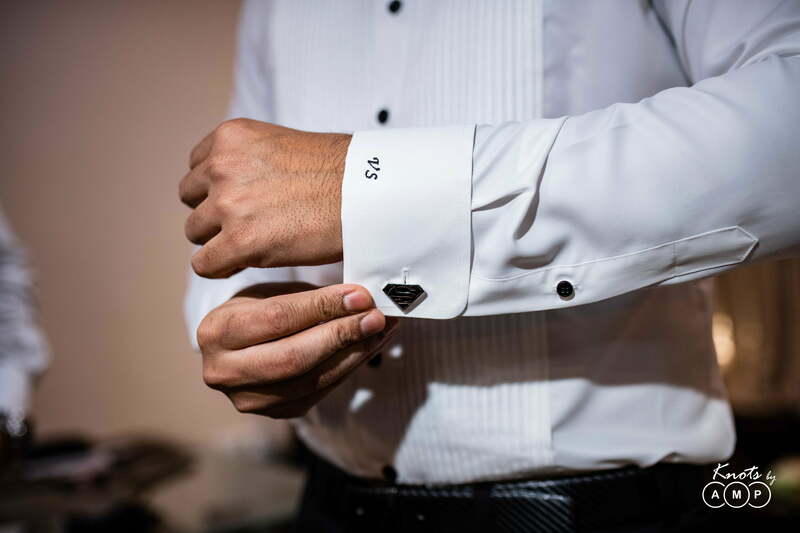 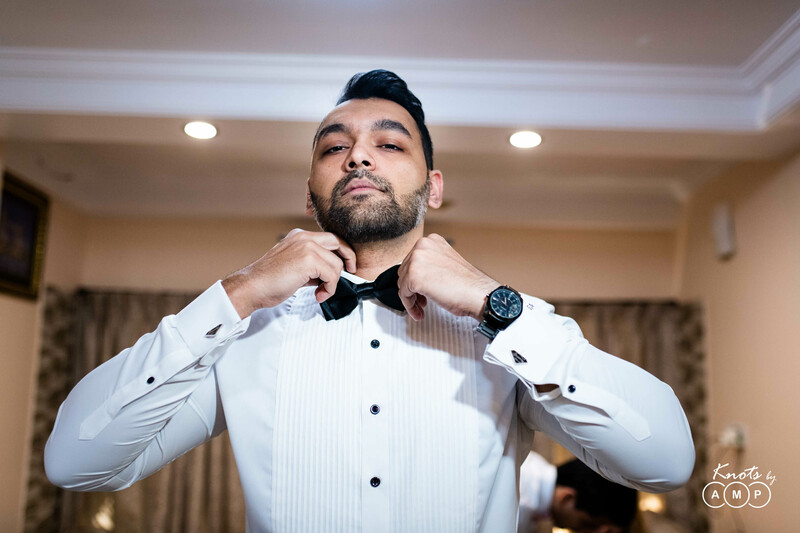 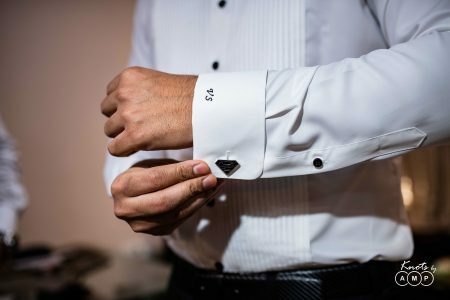 Varun got ready with the help of his groomsmen and boy did he look dapper in his white tuxedo, complete with his uber cool wayfarers and those superman cufflinks. 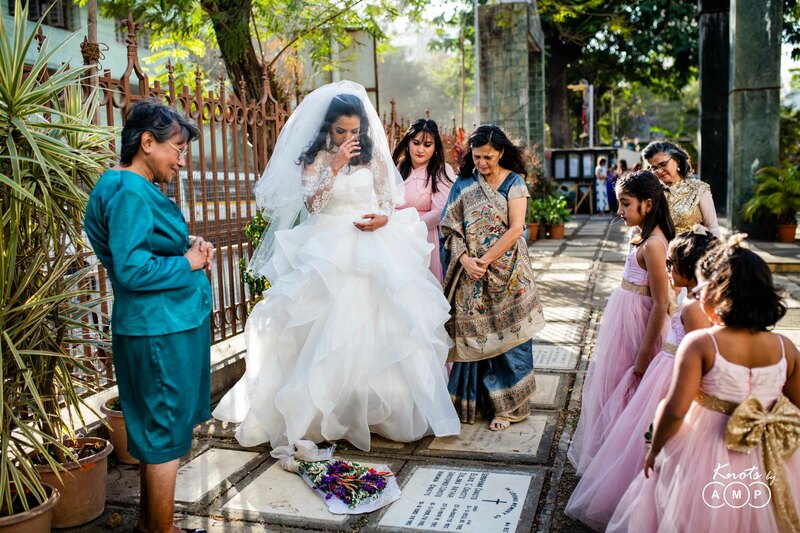 This was followed by a short blessing ceremony before the bride and groom’s entourage left for the church. 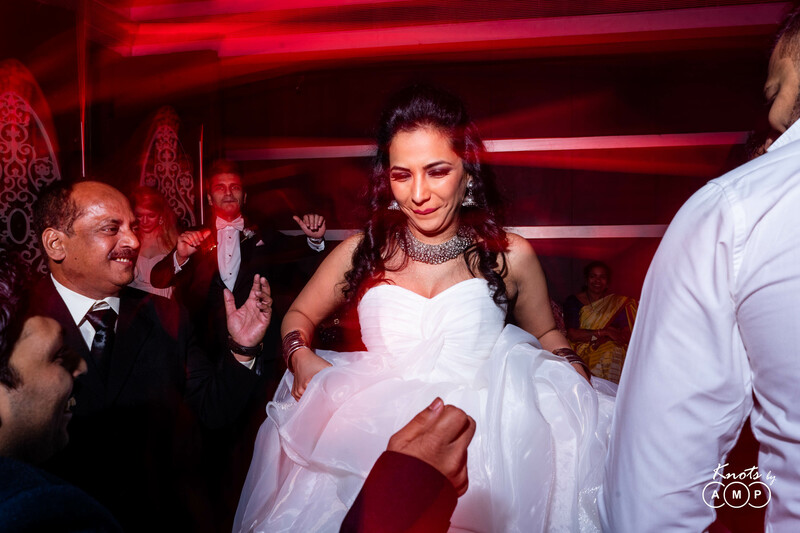 Monisha was escorted down the aisle by her parents as everyone in attendance including Varun looked at her in awe. 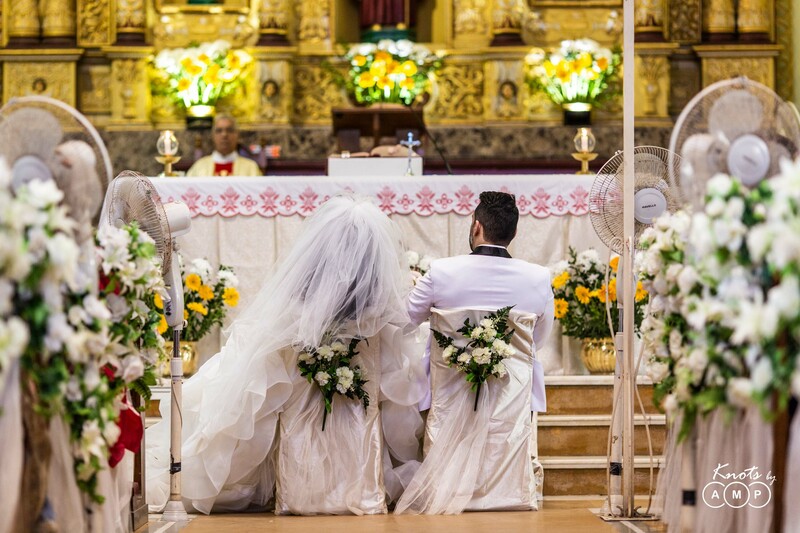 Soon after there was a short mass and the ring exchange ceremony thereafter. 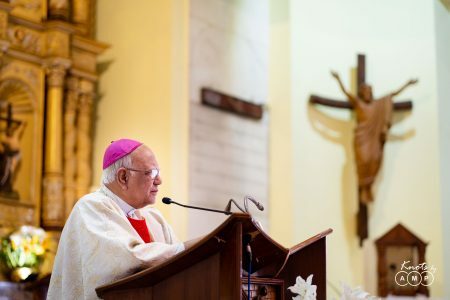 Churches present a unique challenge for us as photographers in the form of restricted movement during the mass. It was important that we placed ourselves such that we wouldn’t have to move much and set our lights in such a way that it didn’t restrict anyone’s view. Our tele lenses came in handy here. 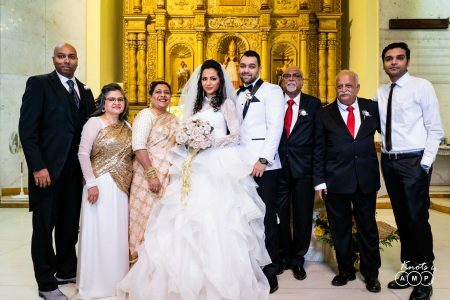 We decided to get hold of the couple and their close family members soon after the nuptials for a family photograph. Couple portraits and the photos of the bride and groom entourage followed thereafter. 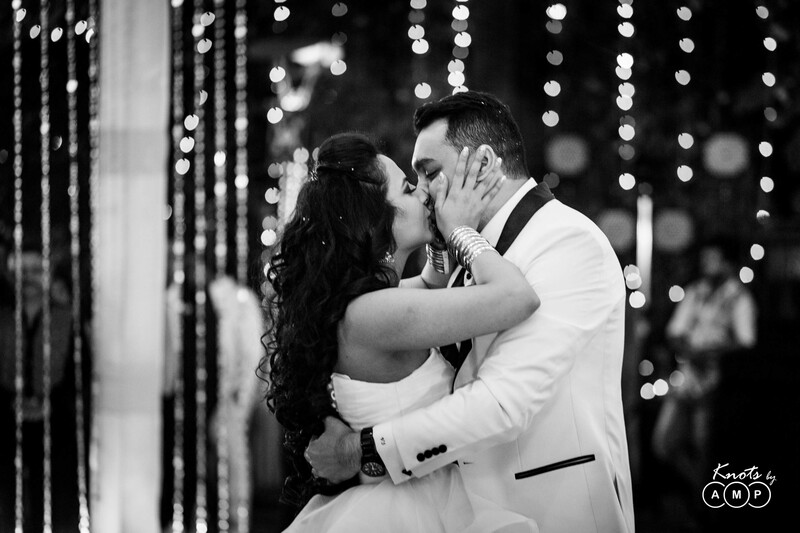 The sheer number of pictures we have of the couple kissing each other is a testament to their chemistry. 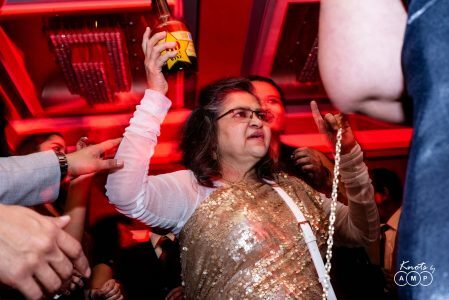 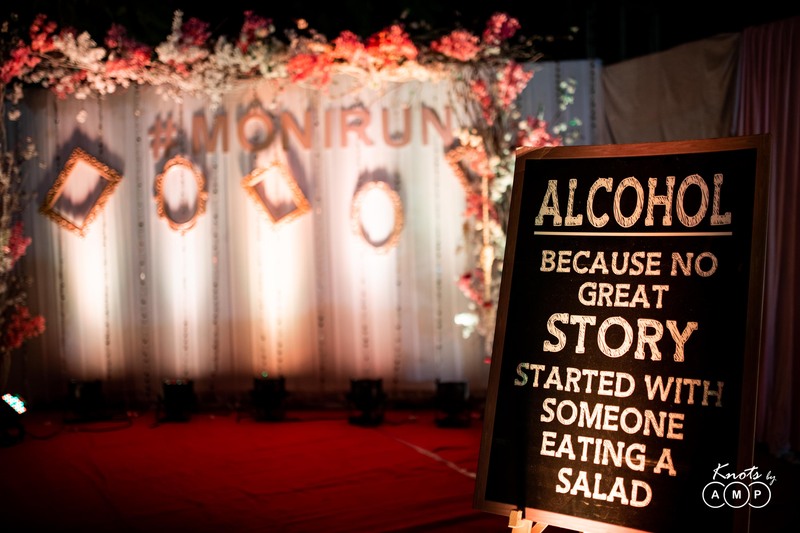 “Alcohol – Because no great story started with someone eating a salad” – This is what we first read as soon as we entered the reception venue at The Peninsula Grand and we got a rough idea of what was in store for us. The venue had a central dance floor surrounded by a banquet style seating for the guests. 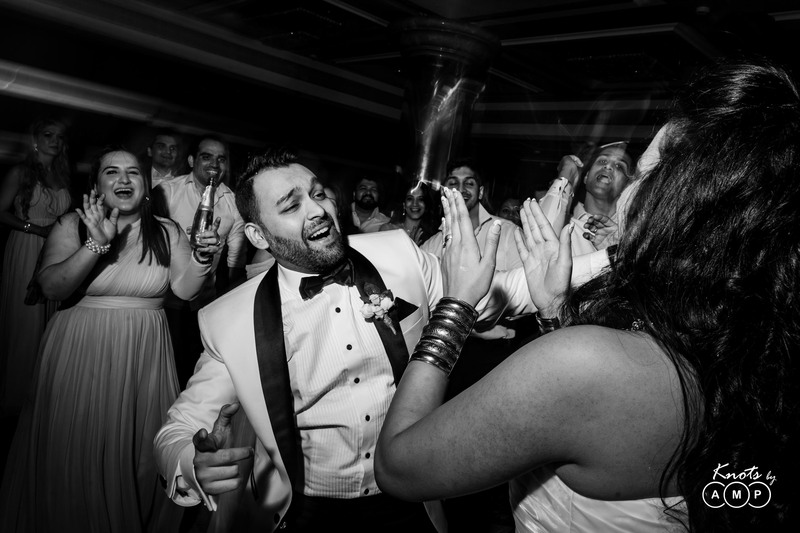 The bride and groom danced their way into the venue to the tune of their favourite song . 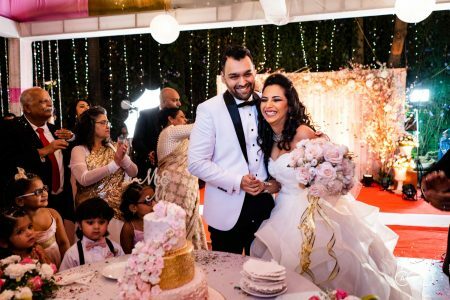 They were showered with confetti as they danced around the dance floor for a bit before settling down for the cake cutting ceremony. The champagne was popped, the best man and the maid of honor raised a toast to the bride and the groom respectively. 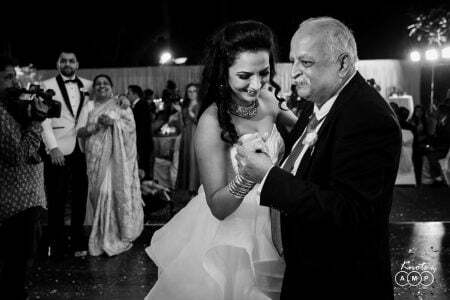 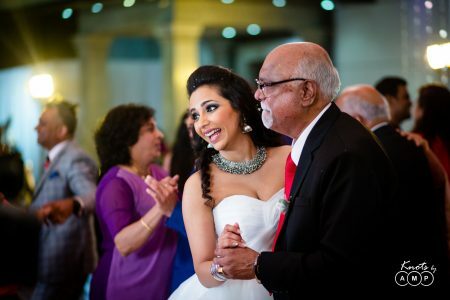 The father/daughter dance and the first dance followed thereafter and the two were seen exchanging glances and making faces to each other throughout. 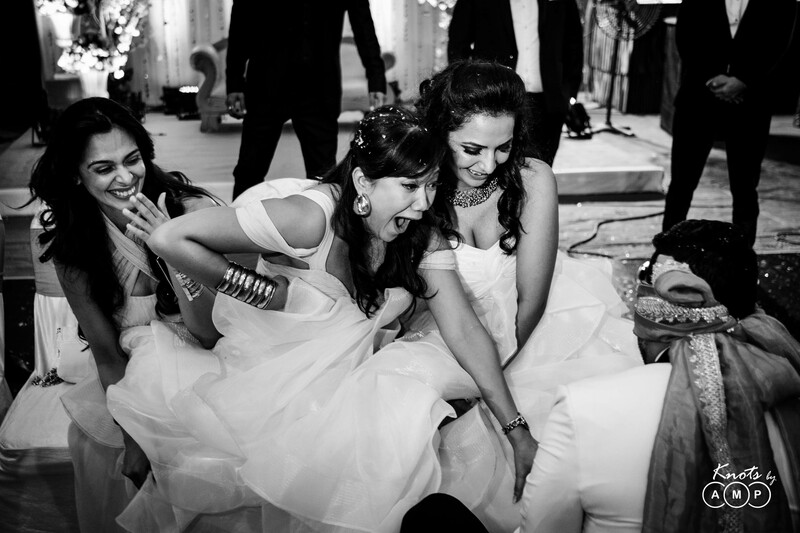 This was followed by some fun games before everyone dispersed for dinner and drinks. 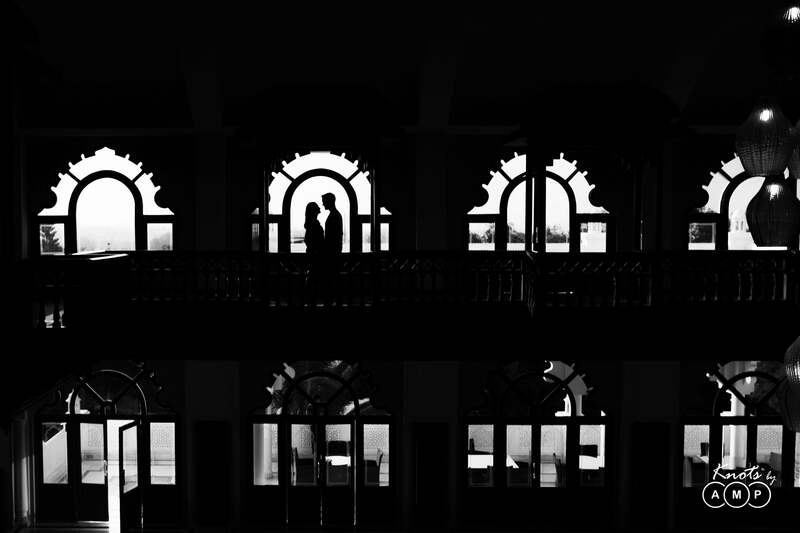 Meanwhile, the couple decided to meet and greet their guests and we snuck in some couple portraits soon after. After everything was done and dusted, it was time to unwind as the close family and guests gathered for an after-party in the banquet hall. 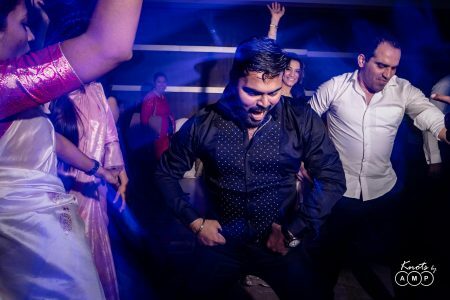 The party continued till late in the night and we stuck around clicking pictures until everyone decided to call it a day. 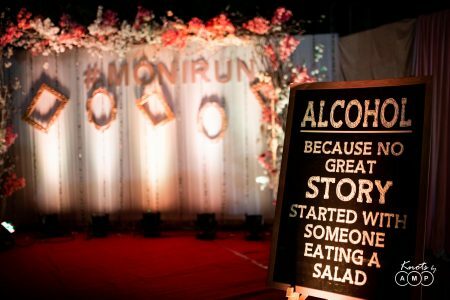 This is how the wedding was planned and executed the MONIRUN-way. 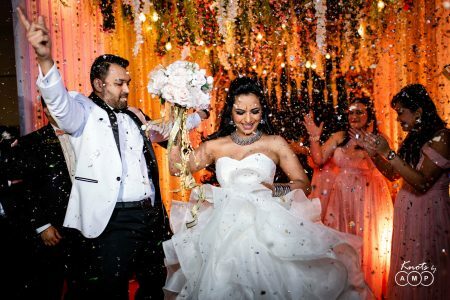  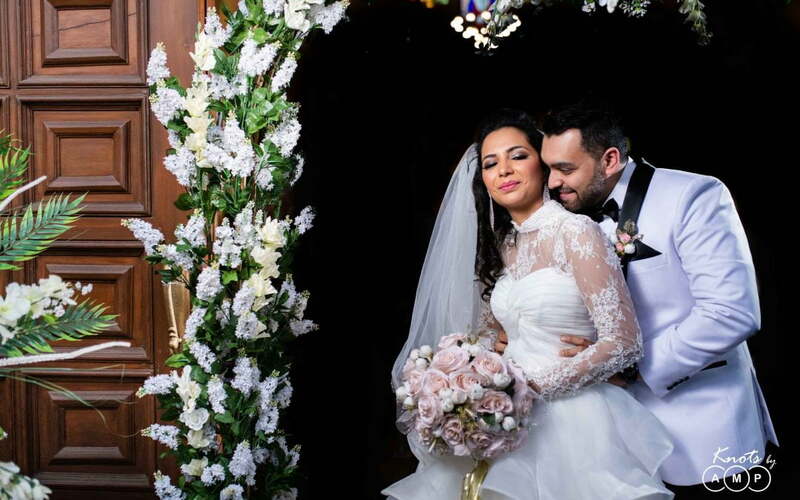 Now take a moment, hold your breath to witness this beautiful wedding in KnotsbyAMP style. 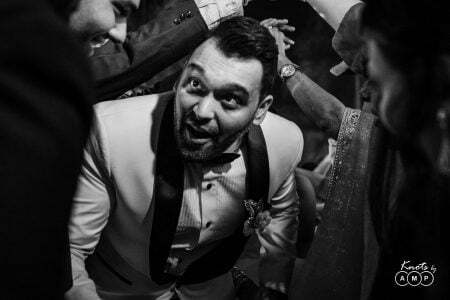 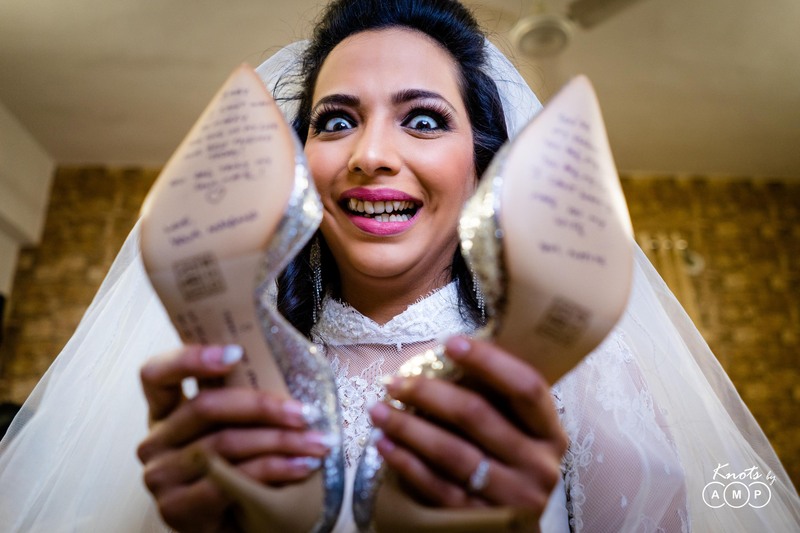 This wedding is also our official entry to Wedding Sutra Photogrpahy Awards 2018-2019, GIWA 2018-2019 [the Great Indian Wedding Awards] and, Sony & Better Photography Wedding Photographer of the Year 2018-2019 Awards.